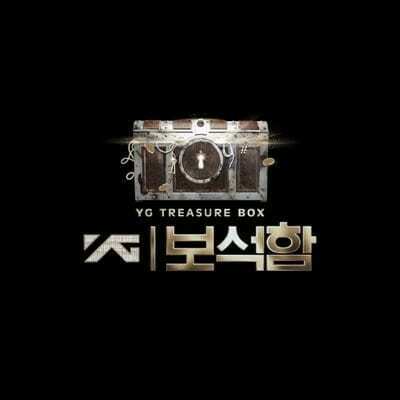 TREASURE BOX is the new survival show from YG Entertainment. 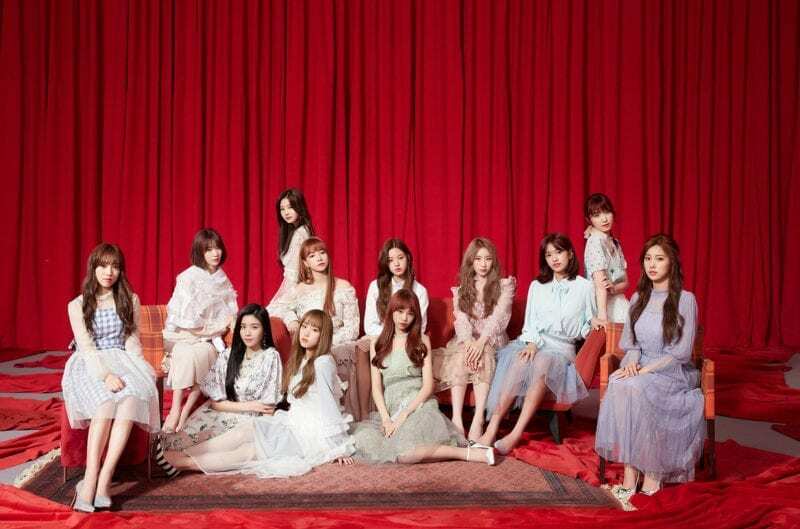 There will be a total of 29 trainees and 5 (or more) will be chosen in the final line up. 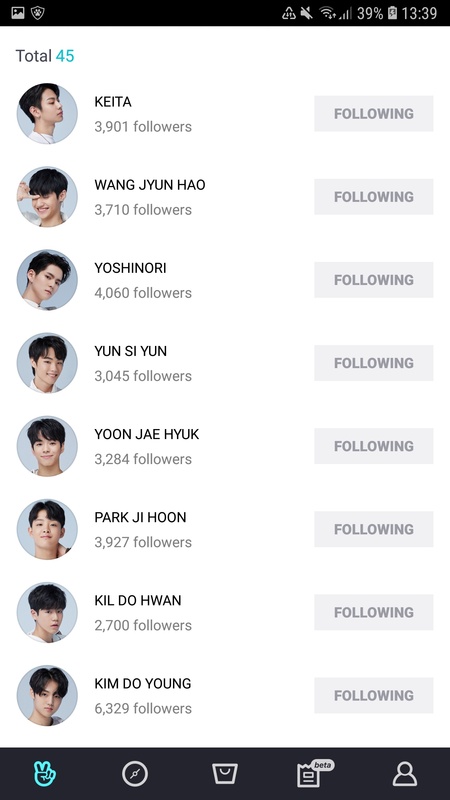 The trainees consists of: Byounggon, Seunghun, Hyunsuk, Kotaro, Jihoon, Jyunhao, Yoshinori, Junkyu, Seokhwa, Yoonbin, Mashiho, Mahiro, Yunseo, Keito, Jaehyuk, Asahi, Yedam, Seungyeon, Dohwan, Haruto, Doyoung, Yeongue, Jeongwoo, Innhong, Junhyuk, Sihyun, Junghwan, Jongseob. 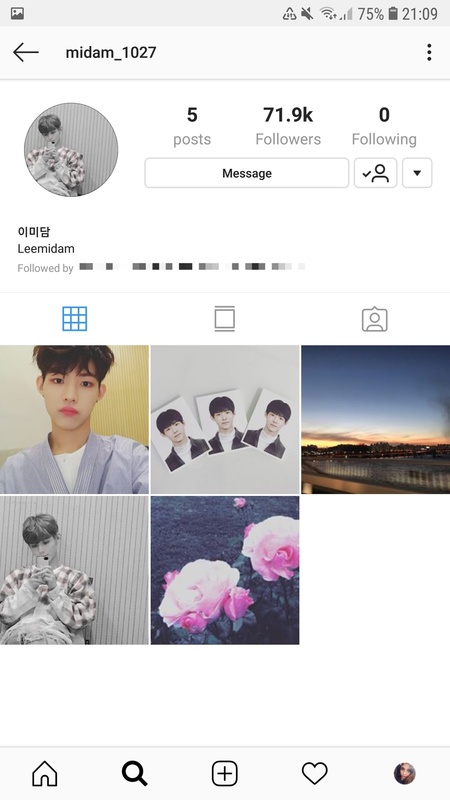 Midam decided to leave YG Treasure Box. The final lineup with be debuting in 2019. 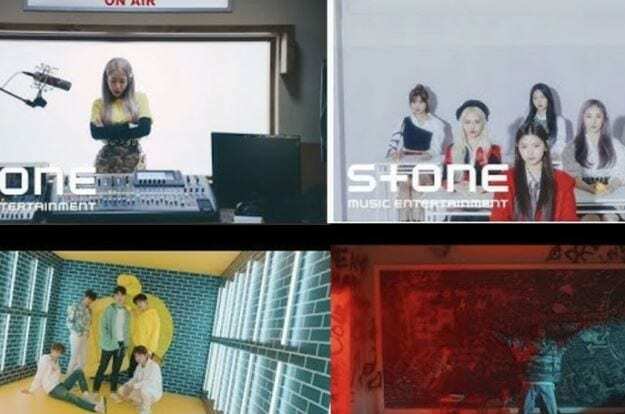 On January 30, 2019 YG announced that they will be debuting a second group with 6 trainees. – He was on MixNine and finished 9th place and was supposed to be a member of the MixNine boy group. – He was eliminated from the show in the finale. – He appeared on an episode the survival show Stray Kids. – He has been a trainee for 9 years. 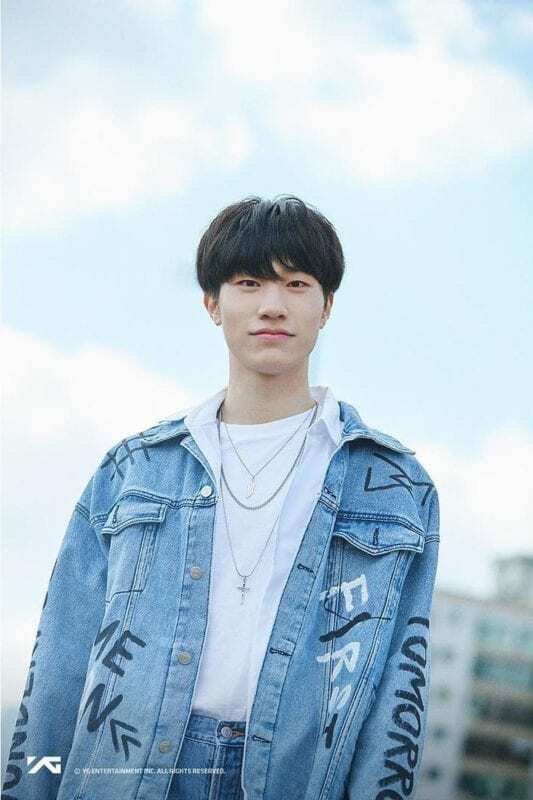 – During the singing battle between STRAY KIDS and “Silver Boys”, he received compliments from JYP. – He was eliminated from the show in ep. 9. – Seunghun has been brought back for the finale. – He has been training since 2015. – Hyunsuk has a brother younger by 6 years (ep.6). – He passed through YG auditions in partner ship with V-Spec Academy. – BIG BANG’s G-Dragon, BLOCK B’s Zico, BTS’ Suga, WINNER’s Mino, iKON’s Bobby, and Hanbin as his role models. – He was on MixNine and finished in 5th place and was supposed to debut in the MixNine boy group. – He was eliminated from the show in ep. 8. – He started training nn April 10, 2016. – He used to train at Nataraja Academy. – Jihoon wears clear braces. – Jihoon got the most votes as promising entertainment star, he is the funniest. – Japanese trainees said Jihoon is the most sociable trainee and he speaks Japanese well. 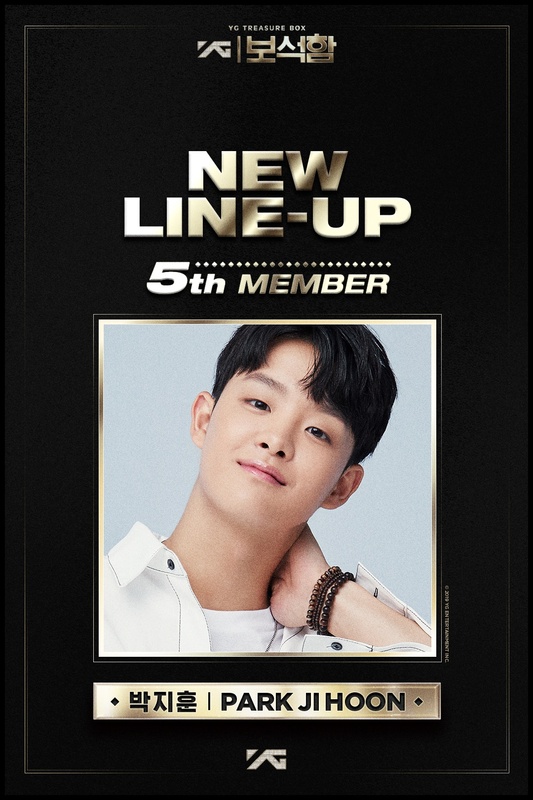 – Jihoon will debut under the 2nd group, he was the 5th member to be announced. – He is from Taipei, Taiwan. – He has a bunny plushie named Baby (배에비). – He was eliminated from the show in ep. 7. – Yoshinori is from Kobe, Japan. – His dad passed away when he was in the 7th grade (ep.6). 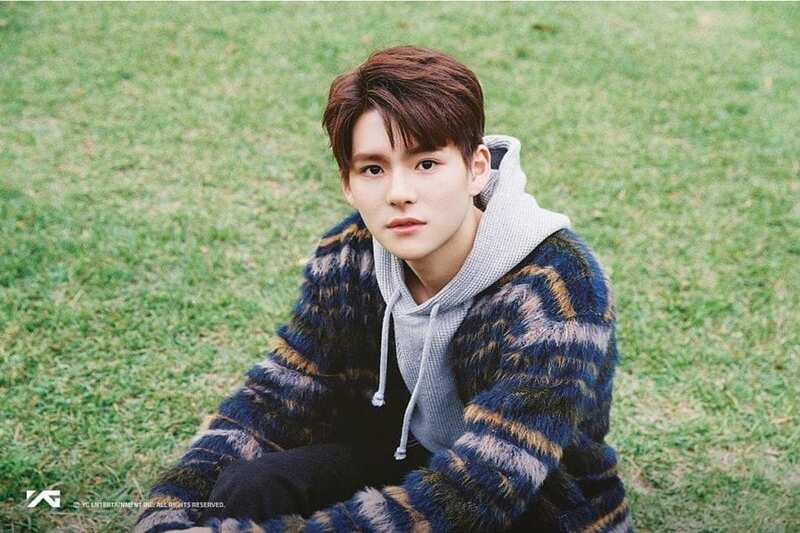 – Yoshinori will debut under the 2nd group, he was the 4th member to be announced. – His nicknames are Koala and Sloth. – He has been training since 2013. 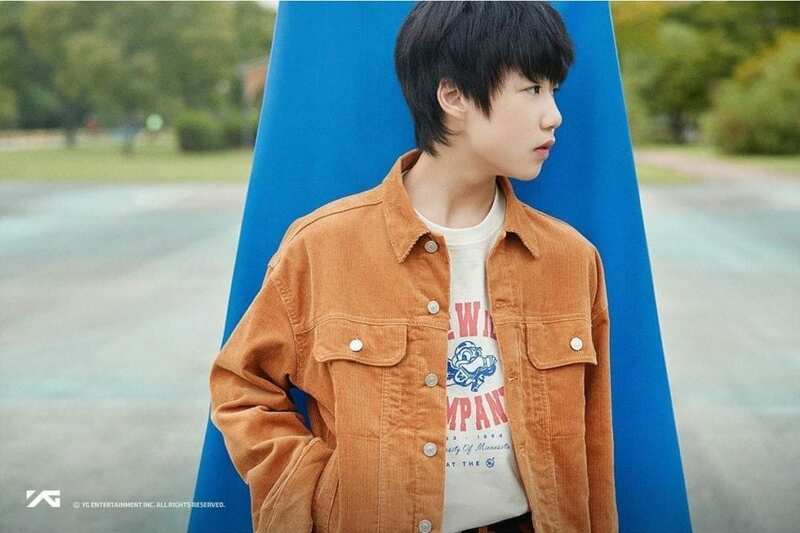 – He is former child model and has been in countless CF’s and photoshoots. – He was also a student at Def Dance Skool with Doyoung. – Jun Kyu thinks he looks like a Koala when he smiles. – Junkyu has a cat named Ruby. – Junkyu was on MixNine, his final rank is 35th place. – Junkyu got the most votes as “physical genius”. 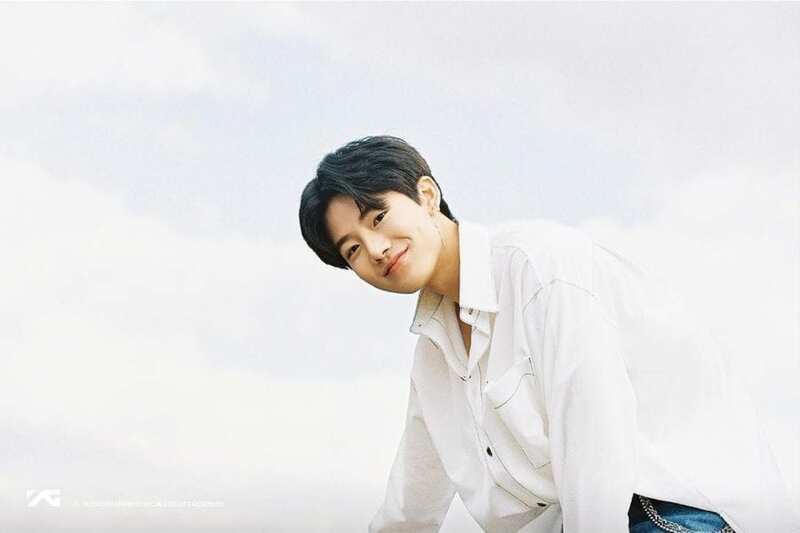 They said Junkyu is very tall and has broad shoulders, also his legs are long and slim. 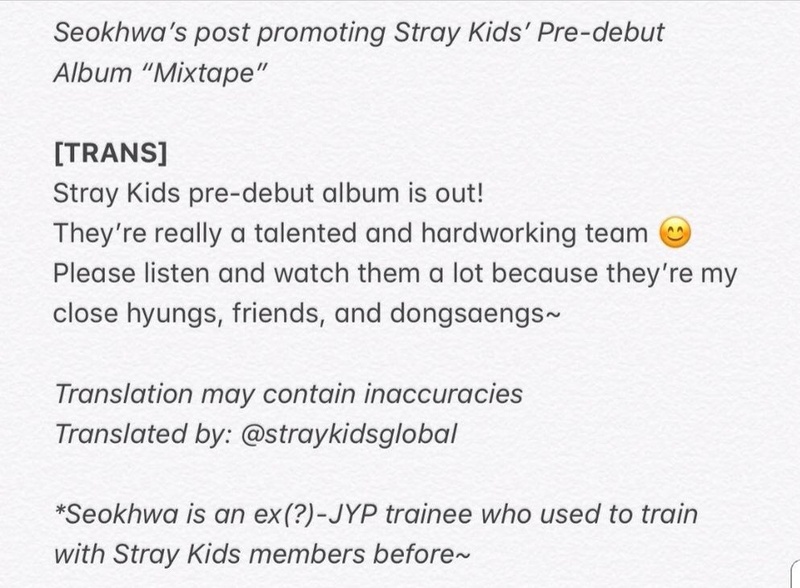 – He is a former JYP trainee and had trained with Stray Kids. – He has an older sister, Yoonseo. – Yoonbin can speak English, he studied in Australia. 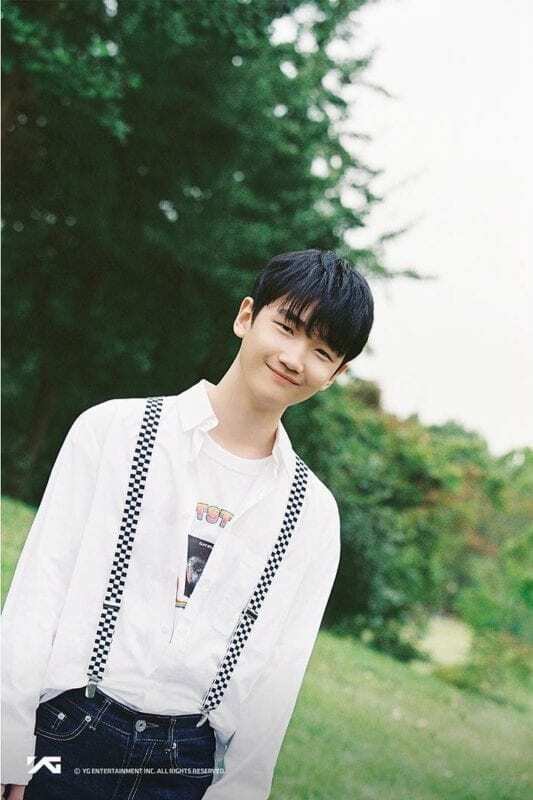 – He left treasure 6 in episode 7 of YGTB after losing against Byunggon. 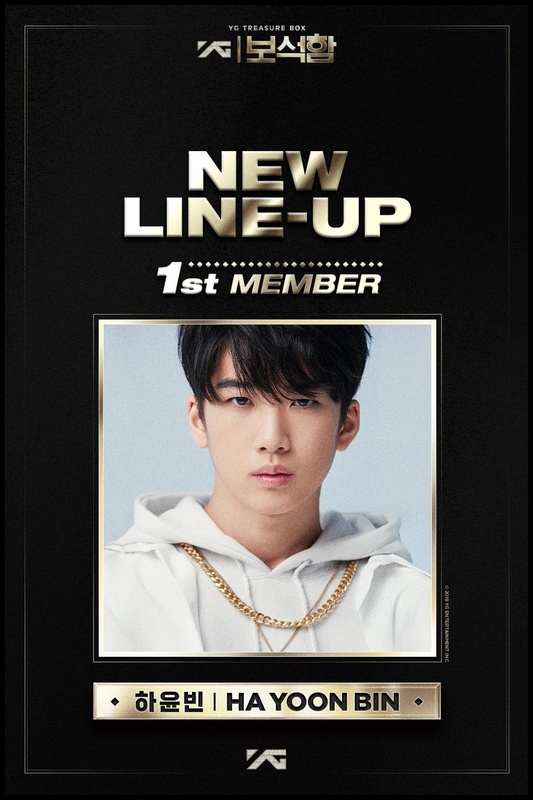 – Yoonbin will debut under the 2nd group, he was the first member to be announced. – He appeared in AKMU‘s short film as a café waiter and his name stated in the credit. – Mashiho got the most voted as Face Genius by other trainees based on YG보석함SURVEY CAM. 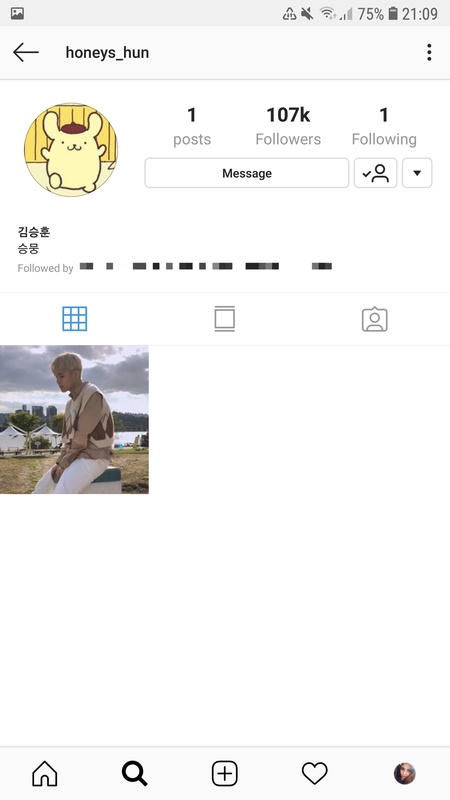 – Mashiho has a dog back in Japan; his name is Kotesu. 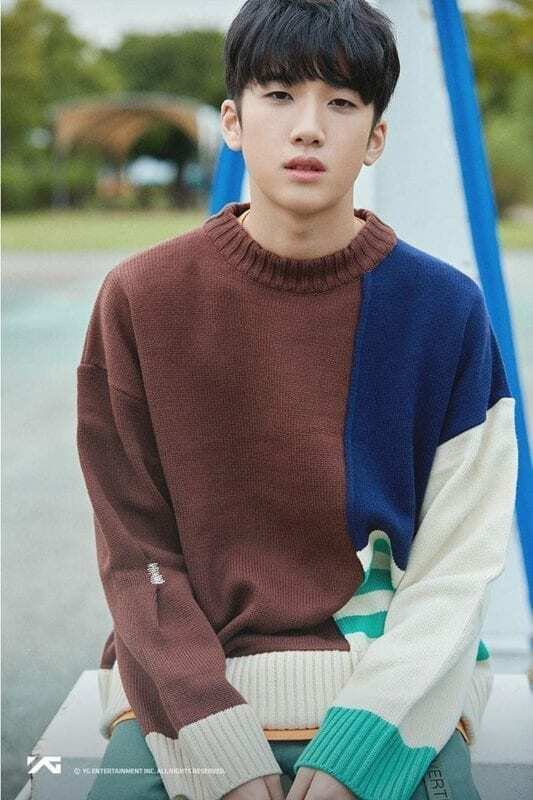 – Mashiho will debut under the 2nd group, he was the 2nd member to be announced. -He was eliminated from the show in ep. 6. -He didn’t leave YG though, he only has to go train in Japan again. – Yunseo is known for looking like SHINee‘s Minho. – Keita wears clear braces. – Keita can sing and rap. – Keita was the longest running trainee of Treasure J . – He trained for 5 years and 4 months so he stands as the leader of the group (Treasure J). – Jaehyuk was street casted after school. – He has been approached by SM, JYP, CUBE, Woollim, Pledis & Yuehua amongst many others. – Jaehyuk has been brought back for the final. 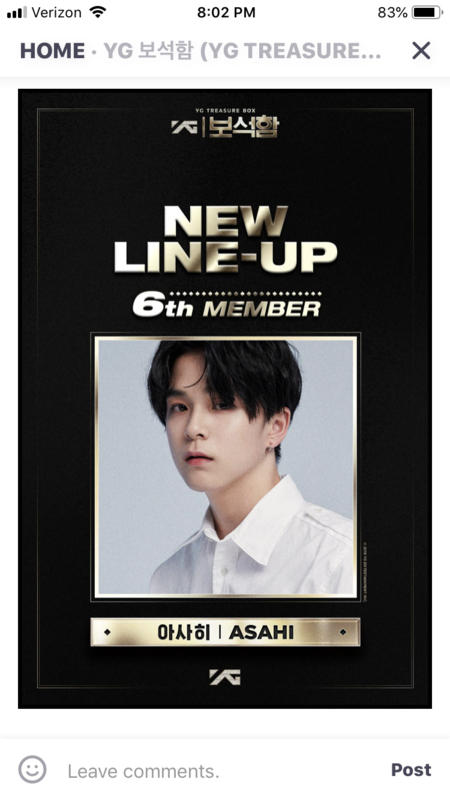 – Asahi will debut under the 2nd group, he was the 6th and the last member to be announced. — He appeared on an episode the survival show Stray Kids. – He participated in the second season of K-Pop Star. He got defeated by his labelmates, AKMU and finished as the runner up. – Yedam can speak English very well. – Yedam is the longest trainee in YG (6 years). – He has enjoyed singing and performing since he was a little kid. – He is proved to be an amazing composer and even got credited for couple songs from Sechskies. – Yedam and Doyoung compose songs together. – Sungyeon and Yedam are classmates. – Dohwan and Doyoung are best friends (Episode 6). 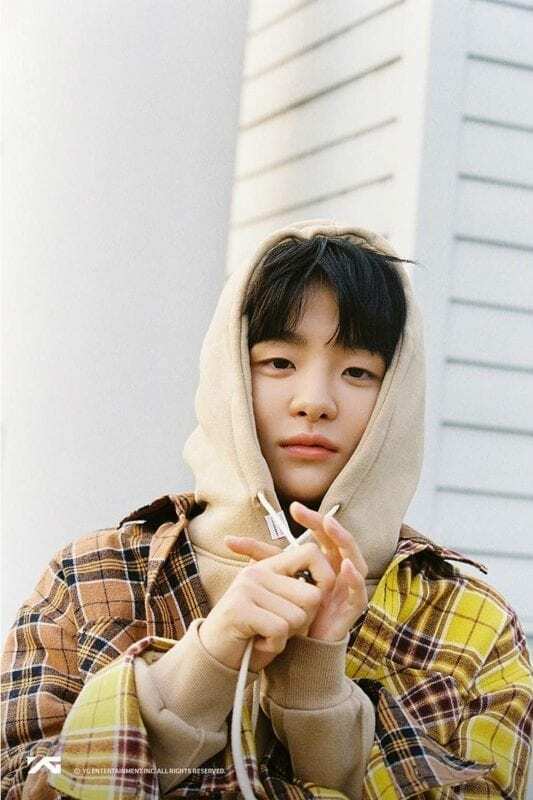 – He entered YG in 2015 at the age of 11. 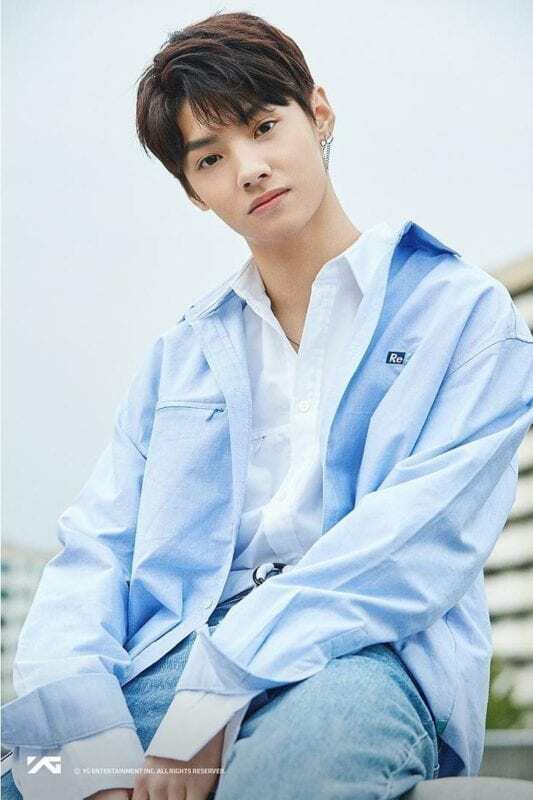 – He was a member of a famous dance crew called Def Skool with Kim Junkyu. – Doyoung wants to be known worldwide. – His nickname is Dobby (Harry Potter character) because he is a homebody; he likes staying at home. – He is a fashionista and loves dressing up. – He was a dancer in Def Dance Skool (before YG) with Dohwan when they were younger. – He passed YG auditions through partnerships between YG and Def Dance Skool. – He used to wear braces but they got removed when YGTB started. 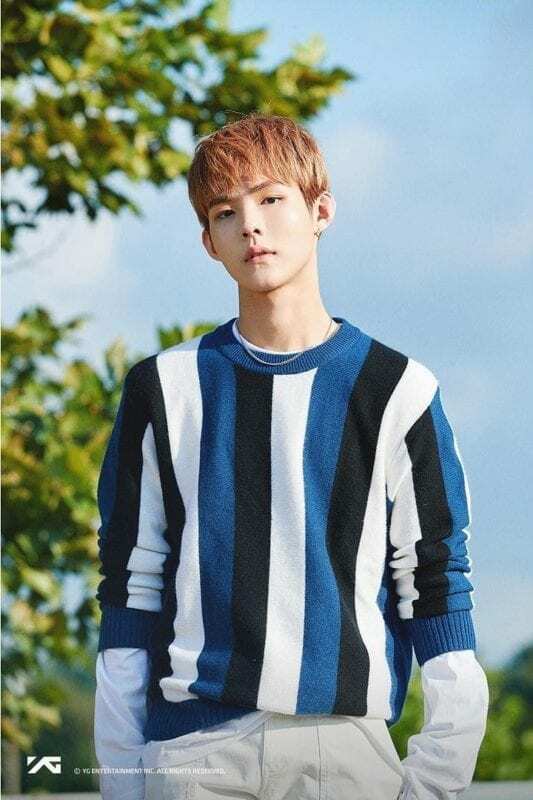 – His hobbies/specialties are skateboarding, swimming and basketball. 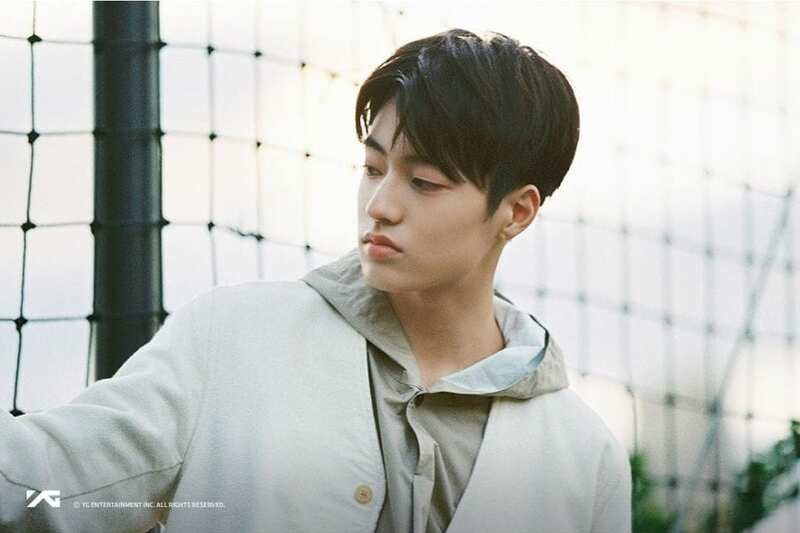 – He appeared on an episode of the survival show Stray Kids. – Yang Hyunsuk (main producer) said Doyoung had a cute face in Stray Kid’s survival show JYP vs YG. – Doyoung and Dohwan are best friends (Episode 6). – Doyoung and Yedam compose songs together. – Doyoung will debut under the 2nd group, he was the 3rd member to be announced. – He’s from Fukuoka, Japan. – His mom is a huge fan of BigBang and has a lot of BB merchandise. – They went to Seungri‘s concert and Haruto’s family met Seungri. – Yeongue used to be part of Daejeon Dance Vocal Academy. – People call him “Harry Potter” because he wears round glasses sometimes. – He thinks his biggest charm point is his eyes when he smiles. – Yeongue’s role model is Bigbang and his favorite member is Taeyang. – In ep. 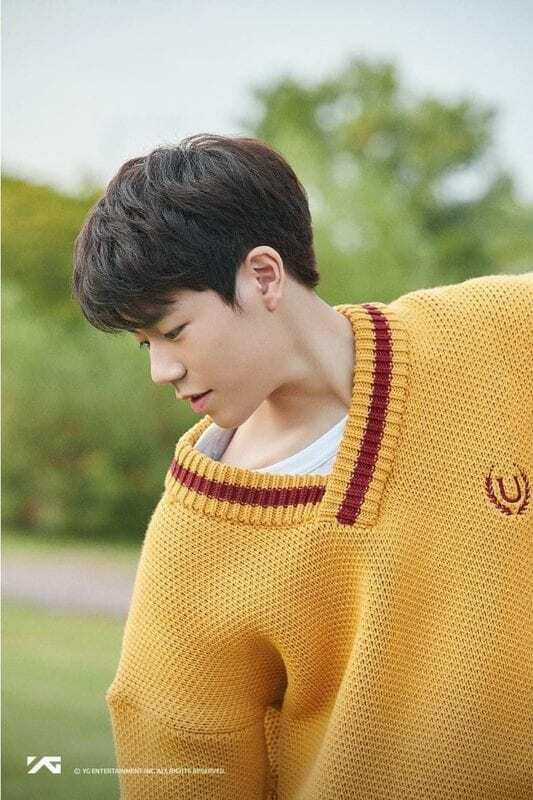 4 of YG Treasure Box, he joined treasure 7 after having a battle with Jeongwoo. 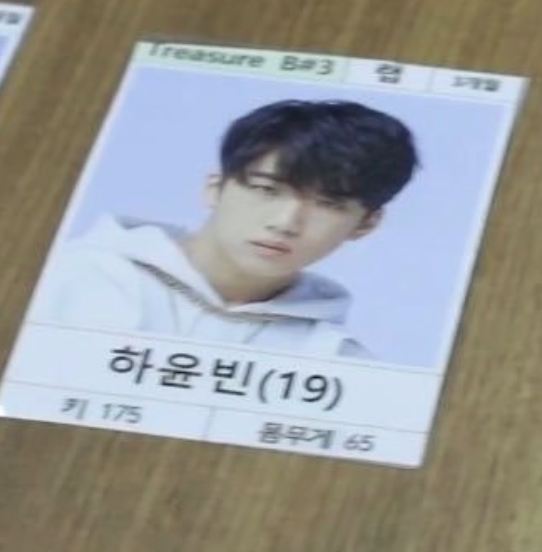 – He left treasure 6 in episode 7 of YGTB after losing against Seunghun. 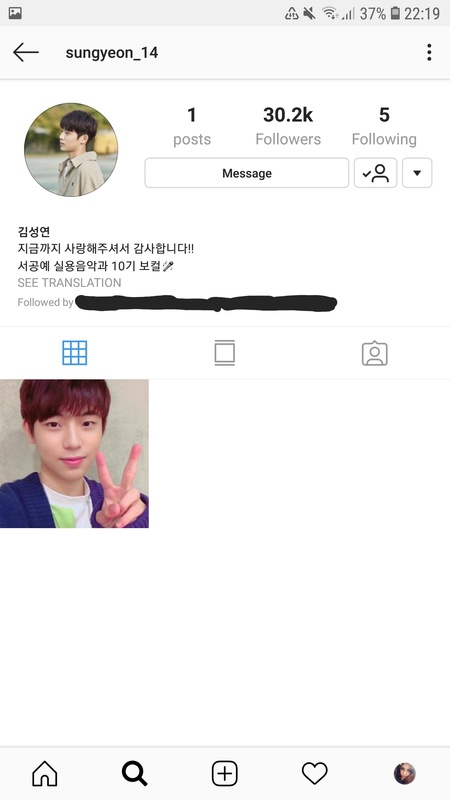 – Jeongwoo has a brother. – Aside from Mashiho, Inhong also got the most votes as Face Genius by other trainees based on YG보석함SURVEY CAM.– He was eliminated from the show in ep. 8. – Junhyuk is from Canada. – Siyun is from Ilsan, South Korea. – His favorite food is kimchi stew, but he also likes deonjang (bean paste) stew. – He likes to work out. – Siyun’s family has 2 dogs. – Junghwan was a former member of K tigers. – Junghwan and Inhong are best friends. 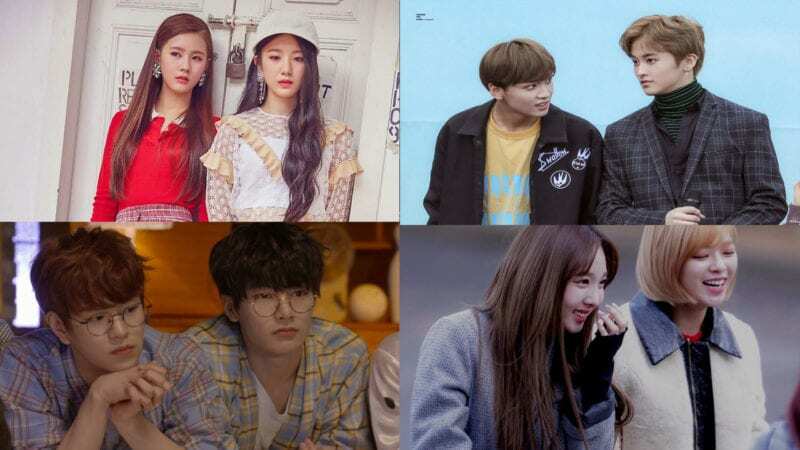 – Kim Jeongseob appeared on KpopStar6 and won with Park Hyunjin of OGZ under the duo name “Boyfriend“. – Jongseob participated on Kpopstar in early 2017. – He has been training since 2016. – He is known as the ‘younger version of Baekhyun’. 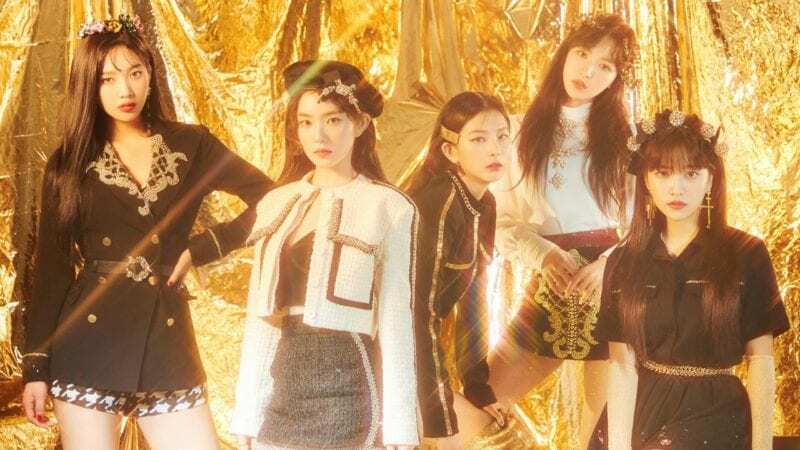 Who's your TREASURE BOX bias? It’s just me or YG purposely put all the more famous trainee in Treasure A and B? 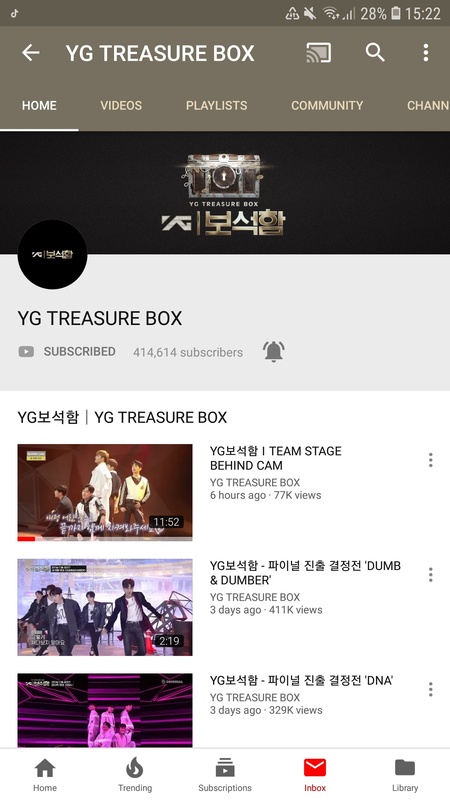 I mean, Hyunsuk, Byunggon and Yedam are the more known and they all are in Treasure A, plus only the only one who were on Stray kids (thus they were exposed to general public) are eithe from treasure A or B… it seems like with Winner and iKON, which was clear as day that YG wanted Team B to win Who Is Next. Thank you, everything is fixed! Isn’t Dohwan name is Kil Dohwan (길 도환) ? And Doyoung sub-unit is treasure A not treasure B ? Ah thanks for telling me, I had copy and pasted the profile bit as I went and forgot to delete those. 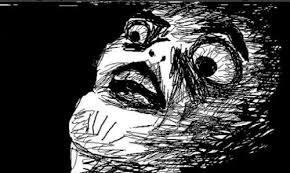 Holy heck I’m older than 10 of ’em – what is the world coming to??? I looked again and yes, those 3 were on an episode of Stray Kids. My Apologies. The person I got the info from said the entire Silver Boys group was on Stray Kids. 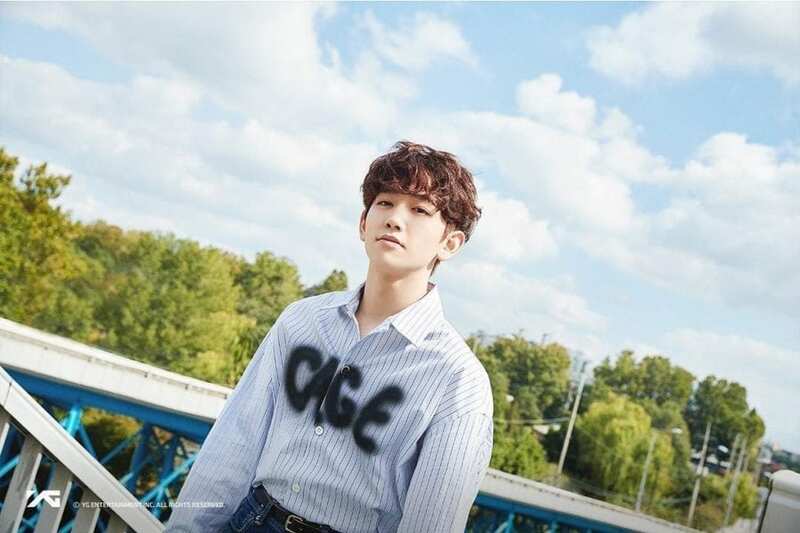 Mashiho full name is Takata mashiho, he appeared in AKMU’s short film as a café waiter and his name stated in the credit. Only Yedam, Midam, Doyoung, Jihoon, Seunghun, Jeonwoong, and Raesung has appeared on an epsiode the survival show Stray Kids. 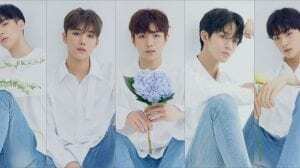 Do you know why Jeonwoong and Raesung left? But more importantly what they’re doing now and if they transferred companies where they are? Thank you, it’s been fixed!! It’s been fixed! Thank you for telling me!! It’s been fixed! Thank you for telling me! I’m older than Jongseob and I’m only in the 7th grade! 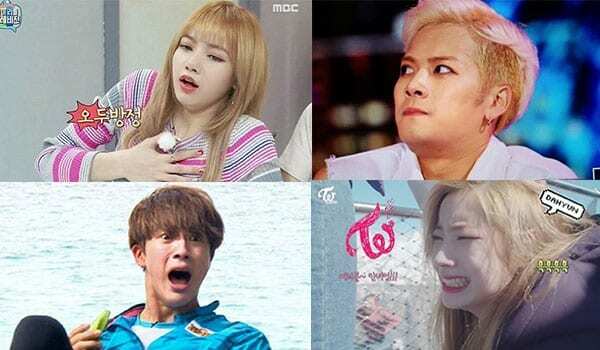 hey, can anyone tell me where i can watch this survival show ? Aww, that’s too bad, raesung was a dancer first before he became a producer. I would’ve loved to see him flourish more as a dancer and an artist. But jeonwoong tho, i wonder what he’s up to. Hope the best for the both of them, whatever they’re doing. I’m a fossil then. I’m older than all of them. The oldest being almost a decade younger than me. did he leave YG or just the show? Is true Yedam is 174cm because he just look a little taller than hyunsuk who was 168cm(rumour)? how does yunseo share a birthday with hyunsuk if his is april 4th and hyunsuk’s is the 21st?? HARUTO IS 4 MONTHS OLDER THAN MEEEEEE AND I’M A LEO AND HE IS AN ARIES WHICH MEANS WE HAVE PRIME COMPATIBILITYYYYYYYYY!!!!!!! I’m gonna cry! Siyun’s family has 2 dogs, his favorite food id kimchi stew, but he also likes deonjang (bean paste) stew, he likes to work out. Jun Kyu thinks he looks like a Koala when he smiles (member’s profile). How are these boys all younger then me except Byounggon??? I’m not even that old. 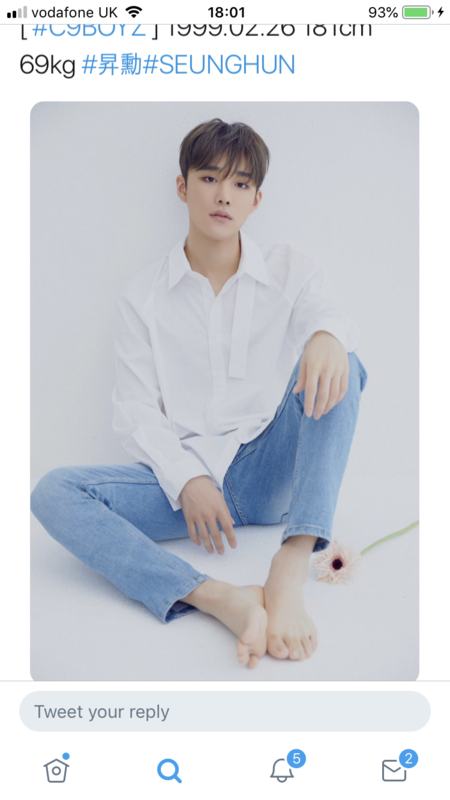 The only one that is extremely close to my age is Seunghun he was born a day after then me…. I really want to know how tall Kim Junkyu is. I saw a Twitter that post that said he was 180+cm but I’m not really sure about that. Haruto’s birthname is Haruto Watanabe. He’s from Fukuoka, Japan. His mom is a huge fan of Bigbang. They went to Seungri’z concert and Haruto’s famiky meet Seungri. Afterwards, his mom cried out of starstruck. His mom got tons of bb merch. And he got a little sister. 🙂 please add this to haruto’s facts. Jihoon and Keita wear clear braces! Kim Jeongseob appeared on KpopStar6 and won with Park Hyunjin of OGZ under the duo name “Boyfriend”! I wasn’t ignoring your comment. I’m busy because it’s the holidays and I wasn’t able to update anything. I have a life, I don’t always spend it answering everyone’s comments and fixing the profiles. Don’t blame K-Profiles either because it’s not their fault and don’t blame me because it’s not my fault. Please understand that I can’t answer to everyone’s beck and call. Because I recently changed one of their birthdays it and forgot to fix the fact, my apologies. 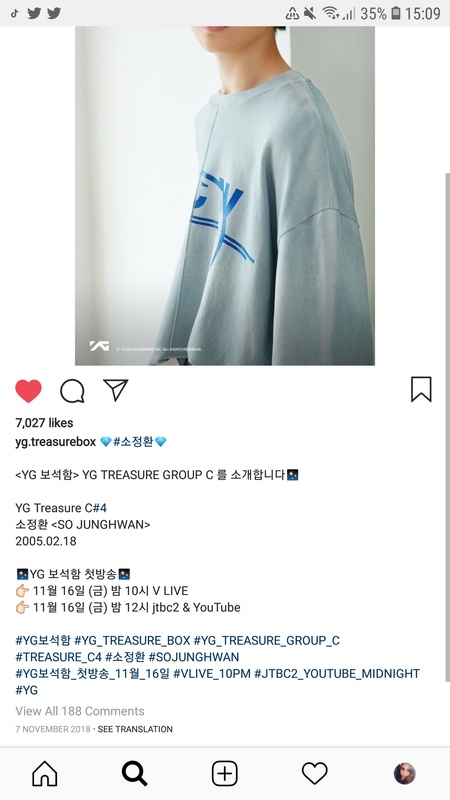 The birthday that YG posted was January 18th, 2005. hello!! 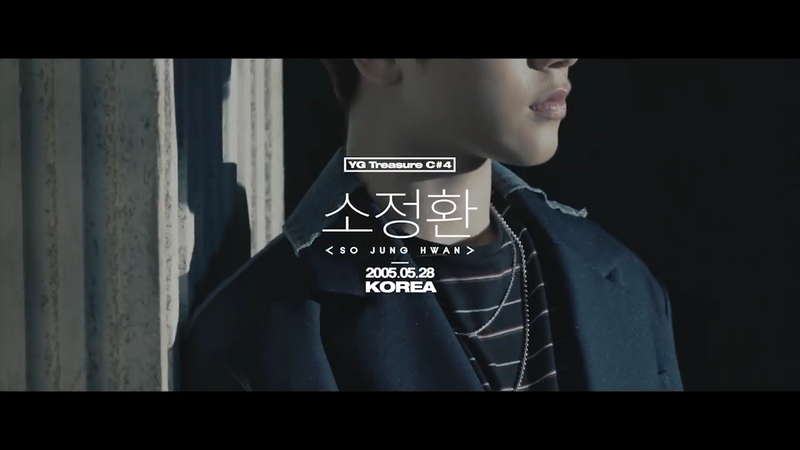 I noticed that on the yg treasure box vlive channel, mashiho’s birthday is listed as march 25th 2000, but here it says 2001. I was wondering why these dates dont agree and if it’s a mistake on the vlive channel’s behalf. another thing is that junghwan’s birthday is listed as february 18th 2005 on vlive instead of may 28th. I looked at the vlive profiles in english, so it could have been a mistranslation, I’m not sure. I just wanted to point this out. Sorry, i re-watched the first and second episodes. And Jaehyuk is not rapper, he is vocalist. I was confused because his interview&perf video sounds like he is half rapping and half singing. 1. Jihoon got the most voted as promising entertainment star, he is the funniest. Siyun used to be a child actor. Doyoung and Dohwan are best friends. 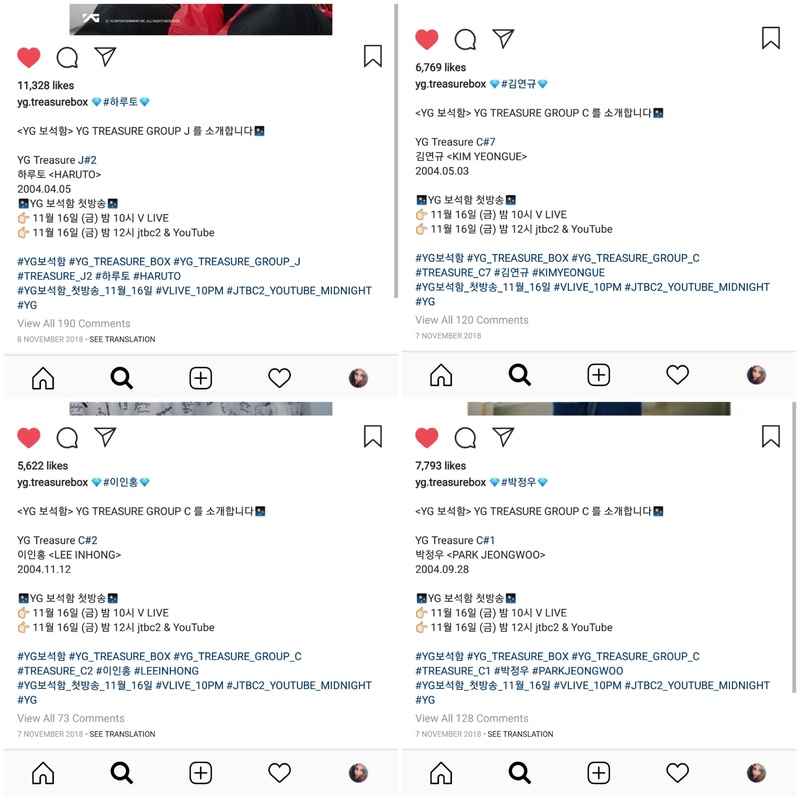 Episode 6.
hyunsuk is also a dancer! Haruto’s last name is Watanabe, not Wantanabe. Also, Keita was the longest running trainee of Treasure J . He trained for 5 years and 4 months so he stands as the leader of the group (Treasure J). Aside from Mashiho, Inhong also got the most voted as Face Genius by other trainees based on YG보석함SURVEY CAM. Yedam and Sungyeon is classmate. 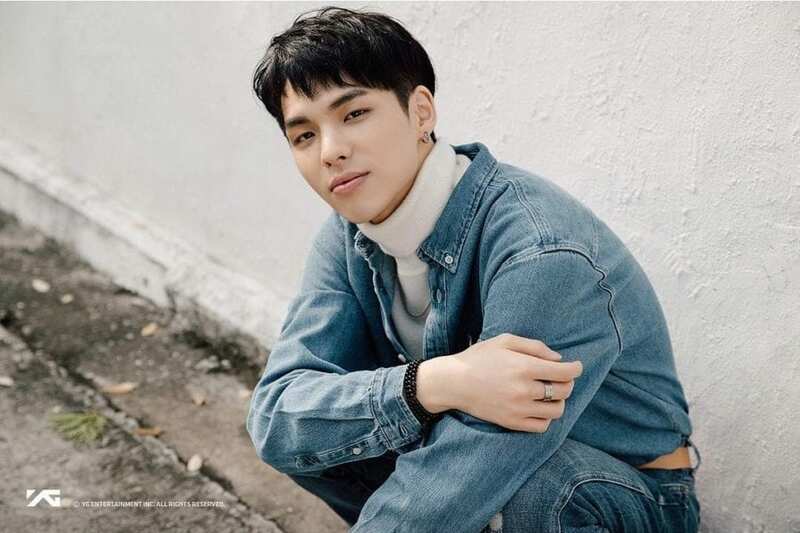 Byounggon brother is his big influence for becoming a rapper (based on his profile video on YG Teasure Box). Keita and Doyoung used to wear braces but I think they already took it off now..
Yedam has trained the longest out of the trainees. That info is released within the 1st few episodes of the program. Asahi name is Hamada or Hanada? i thought junkyu is a dancer? 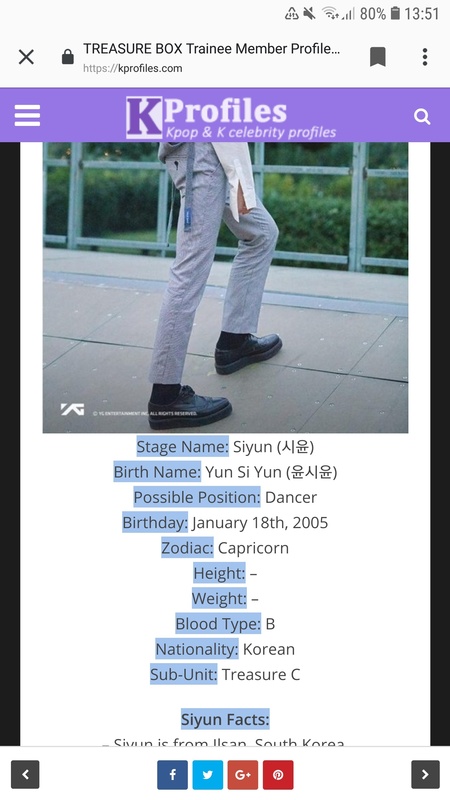 me and yoonbin share the same birthday 11th december!!1!!! WATANABE is HARUTO’S surname not WANTANABE.! the positions about is not official yet! (Spoiler if people hasn’t seen Episode 7) JyunhaoJwas eliminated EP.7 but is still a trainee under YGE. He was my favorite. I’m so sad to see him go. Is he really gone like is he not a trainee of yg anymore? It’d written Keito instead of Keita in the “Who’s your TREASURE BOX bias?” section. 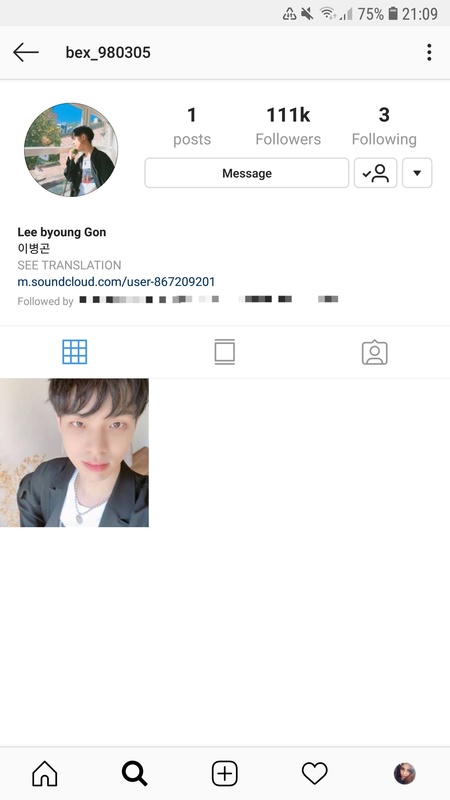 For Seunghyun;s profile you said “During the singing battle between STRAY KIDS and TREASURE BOX, he received compliments from JYP.” But Treasure box was not a group yet, the group was called ” Silver boys” not Treasure box. 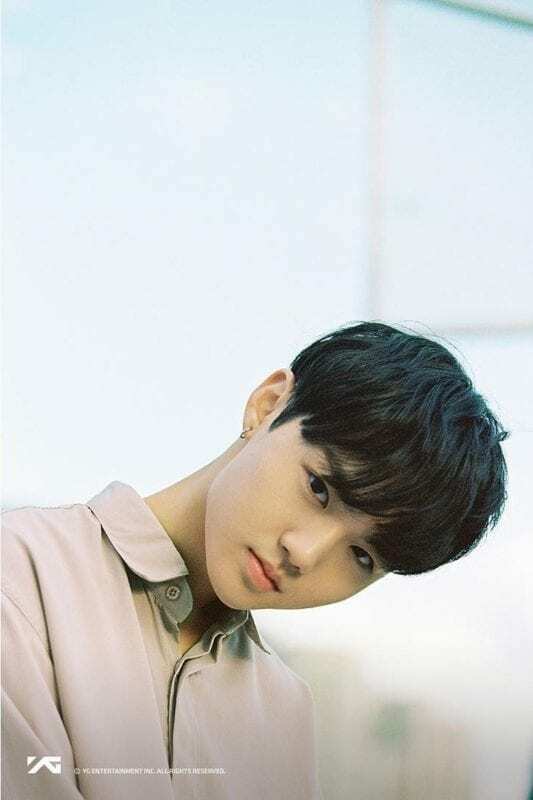 No he is stil in YG if you haven’t noticed YG said to Jyunhao ” You’ll have to go back and practice and find another time to debut.” Including to Mahiro when he was eliminated it was told that they have to go back to Japan or Taiwan and practice there until they find another way to debut. Bascially if you get eliminated you have to go back to trainee but not with Treasure box. I’m the same age as Haruto but I’m only 156cm……. what do they feed him????? 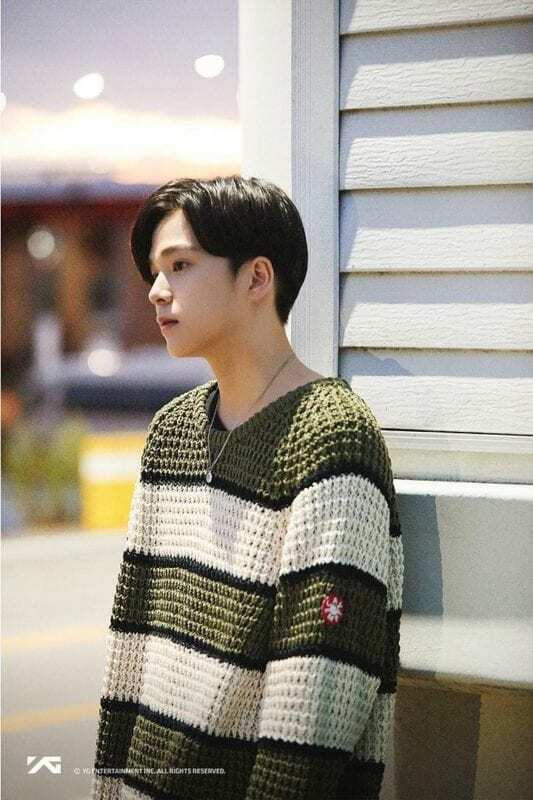 Jihoon was trained and got dropped on March 2018 and on september 2018 he came back to yg again. he got in on yg On April 10 2016 and started as a vocalist. 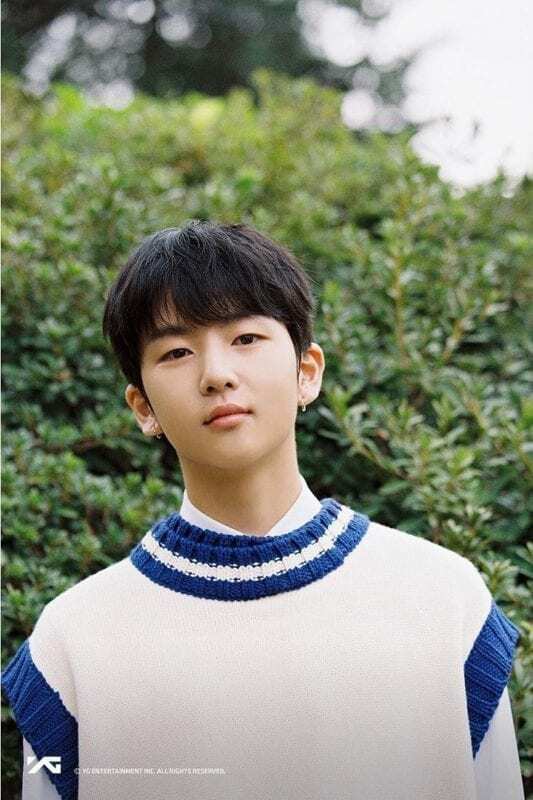 – Yoonbin studied in Australia. – Jihoon is a dancer & vocalist (ep. 7). – Jaehyuk was street casted after school. He has been approached by SM, JYP, CUBE, Woollim, Pledis & Yuehua amongst many others. A little mistake on Junghwan’s name. His last name is Seo, not So. Dude, Doyoung is only 22 days older than me. I am shook. Why is Yoonbin taller than Seunghun? Seunghun said he was the tallest (in Survey Cam) but I don’t know his exact height. 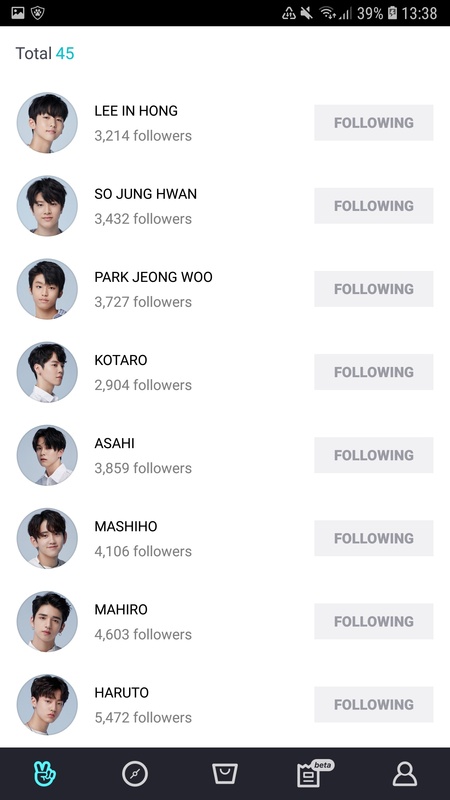 Yoshinori’s surname is still unknown. Dude haruto is 180? I’m literally 150.. I really hope YG changes their decision of having 5 members! I hope they would at least make it 7. They are all so talented, idk why YG loves having only 5 members. InHong, Kotaro, Asahi, Seungyeon, Si Yun, and Junhyuk are now eliminated. It’s 소정환(So Jung Hwan) not 서정환(Seo Jung Hwan) . Junghwan was a former member of K tigers. Junghwan and Inhong are bestfriends. Junghwan sang the first verse in Going Crazy. Motto: Don’t make efforts go in vain. JungHwan and Jeongwoo are schoolmates. Hello. Would like to point out that you wrote wrong surname to wrong person (I pointed out the surnames a few days ago but I guess you mixed it up). yeongues role model is Bigbang and his favorite member is taeyang because he is outstanding on stage and sings well. Yeongue said he wishes he could sing as well as taeyang does. Yeongue hopes they can perform together some day. 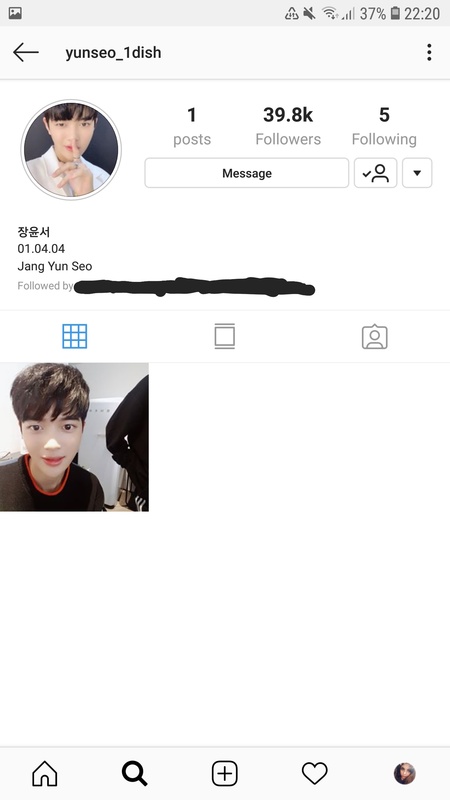 Just a doyoung stan passing by..
you wrote on Kang Seokha profile is “he is form jyp” it should be “FORMER” righhtt? Doyoung and Yedam compose songs together. 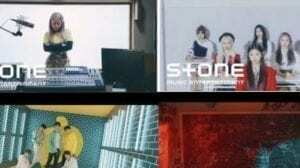 They have three unpopular self-composed tracks uploaded on the internet. Yedam can speak English very well. me love some handsome, talented men to fangirl over. love it, always. yg, stop being a coward and release the full version of blackswan, go yard and going crazy. 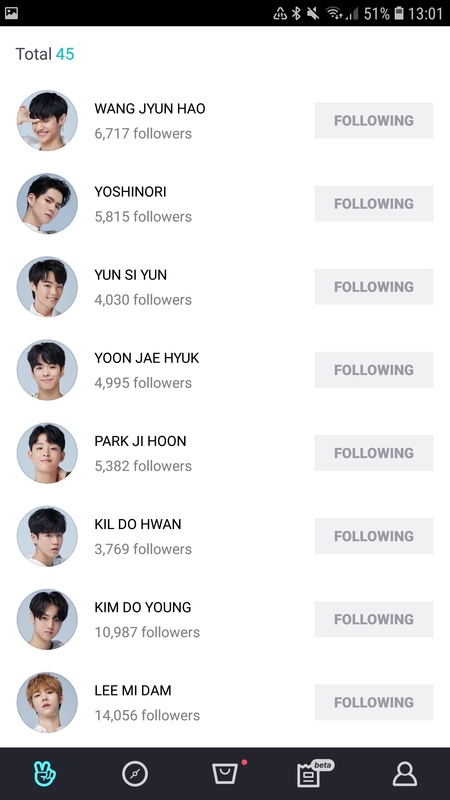 As of Episode 9 Keita, Seunghun, Yoshinori, Yoonbin, Dohwan, Seokhwa, Jongseob, Junghwan, and Yunseo are eliminated, although two are being brought back next week. Jeongwoo is actually taller. He’s almost as tall as Haruto in the lastest episode. 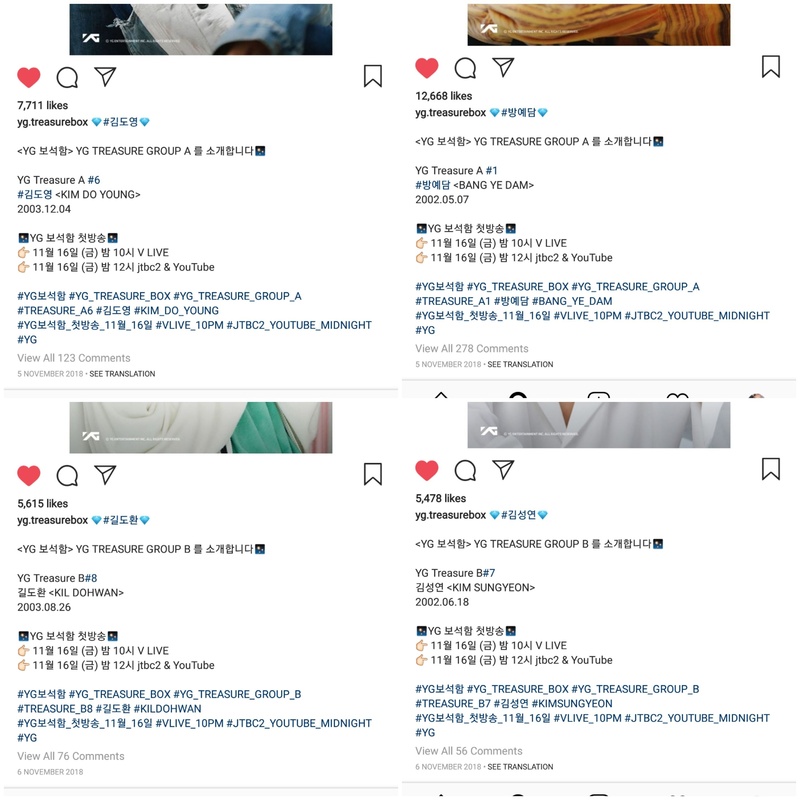 Junghwan’s birthday is 18 Feb 2005, if you go to the treasure box instagram and go all the way down to the first posts from the begining of November, they did photoshoots of each team then posted the interviews and performances, Junghwan’s pic says 18th Feb 2005, not 18th may 2005, I’ll show the screen shot I have from Instagram, I’m sure twitter will say the same things, and probably some of their first videos on youtube and Vapp as well, I remember when the show first started, for each Individual it had what team they ere on and their number, their name and date of birth, you’ll see it in the interviews with live performances that are on the Treasure Box Vapp and Youtube. 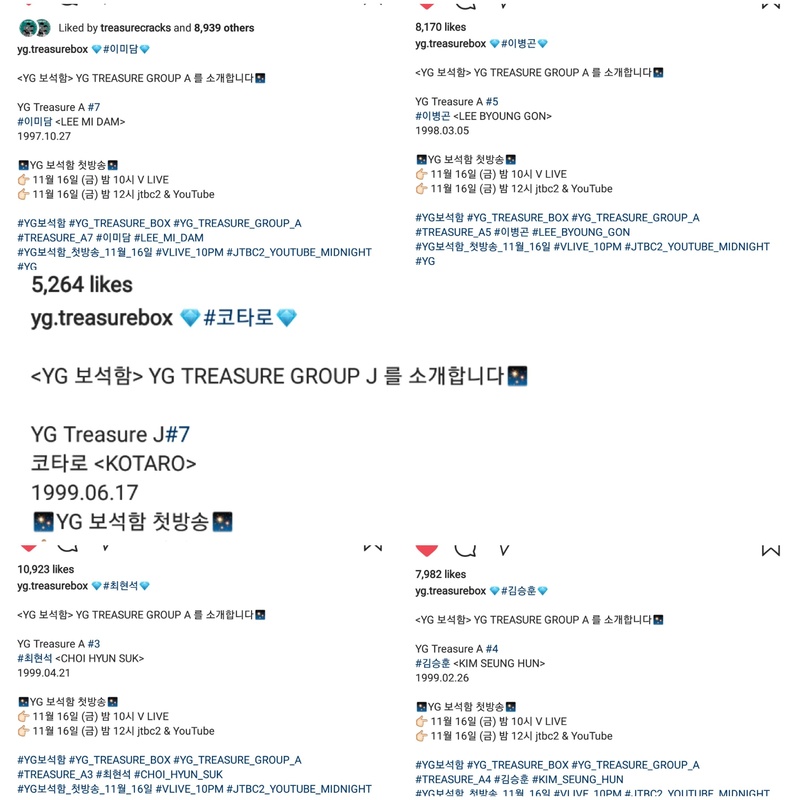 I don’t know how many mistakes there are with the names being spelt in english or with the wrong birthdays and stuff but here are some collages with all the screen shots from the official Treasure Box instagram with all names and birthdays for the boys. The reason I put them into the collages is because it would have taken a really long time to upload the pictures individually. 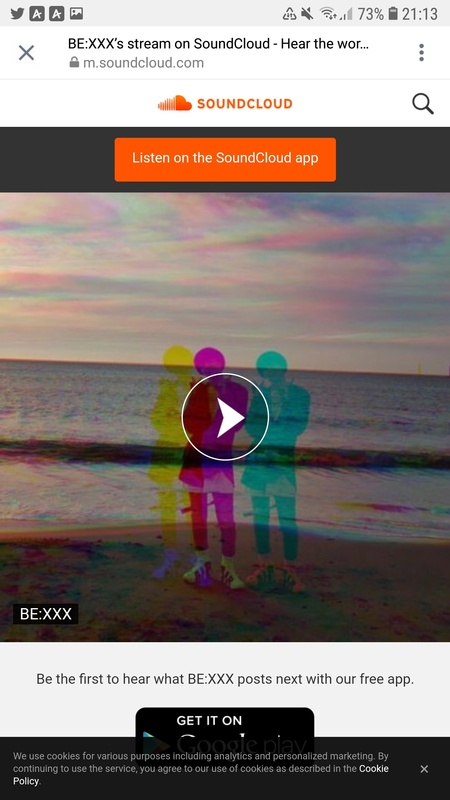 If it’s blurry or the writing isnt clear enough just tell me and I will try and sort it out. I could only do 6 pictures per collage at the most. I thought Jae Hyuk was eliminated instead of JungHwan…. Okay… Did I miss something?? Junghwan was not eliminate yet. where did it say that seunghun and jaehyuk were brought back? There are 2 eliminated coming back in the finals. 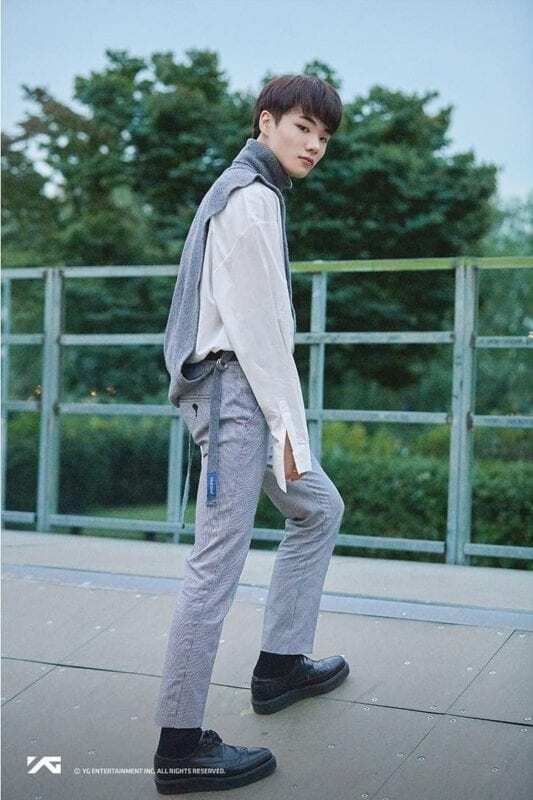 Seunghun for sure, but others say it is Keita, Jaehuk, Yoshinori, or others. We don’t really know yet. It is in the YG preview, we will find out this Friday !! 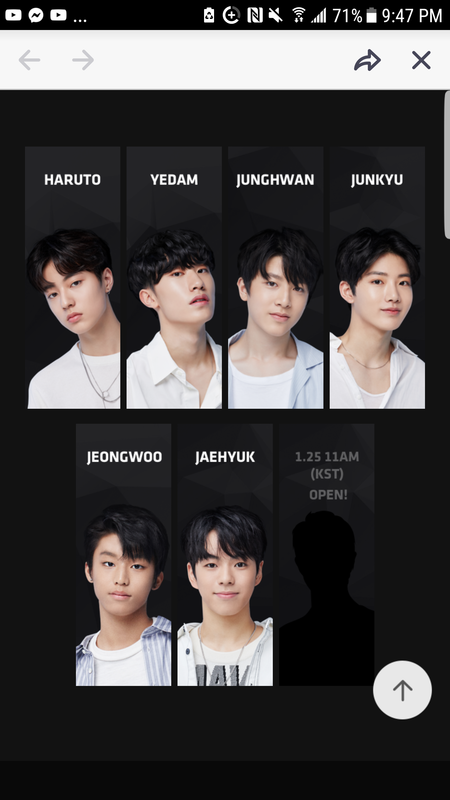 It has been announced so far that Haruto placed 1st, Yedam placed 2nd, Junghwan placed 3rd and Junkyu Placed 4th so far they get to debut and passed the final. 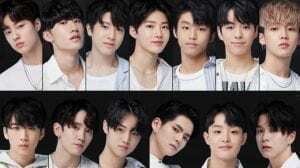 Haruto, Yedam, Junghwan and Junkyu have been selected for the debuting group. Jeongwoo didn’t place 3rd, Junghwan places 3rd. Jeongwoo was not ranked 3rd, Junghwan was. 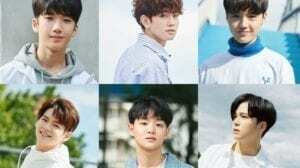 Jeongwoo has not been confirmed to be in the final group, the 4 members that are confirmed are Yedam, Junghwan, Haruto, and Junkyu. Jaehyuk was one of the members that was eliminated chosen along with Seunghun to be in the the finals. 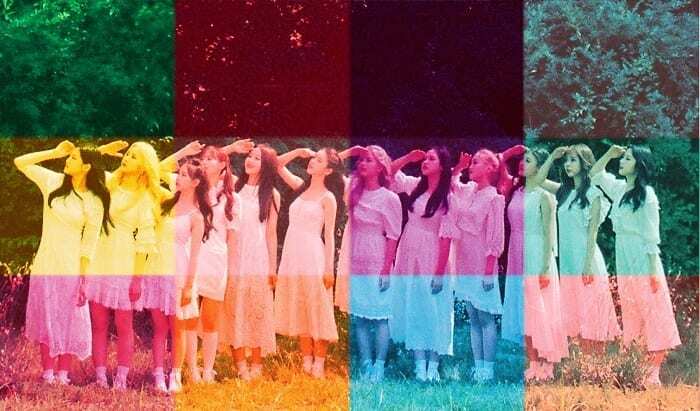 The 5th member will be revealed on Monday at 11:00 am KST, the 6th member will be revealed Wednesday at 11:00 am KST, and the final member will be revealed will be revealed Friday at 11:00 am KST. The debuting team will debut sometime in 2019, most likely spring/summer. jaehyunk didnt get eleminated im?? 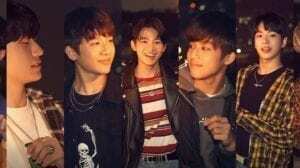 YG PLEASE LET JUN KYU AND SEUNGHUN DEBUT! can you please add that junghwan is ranked 3rd for debuting team…..
for Seunghun, you accidentally put “He was eliminated from the show in ep. 9.” twice. You didnt get his point.. So it means that he was trying to say that jeongwo is still not in the debuting team. the trainees didn’t rank 1/2/3/4. there’s no ranking among them( besides the audience popularity vote, you can find the list in ep 10) it’s incorrect to say the ranking because the team was picked by people who ranked first in each team, not by the overall ranking. 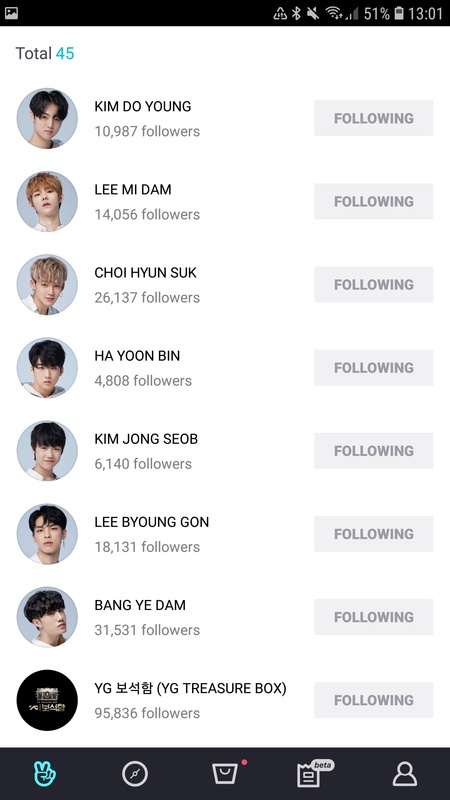 haruto yedam and junghwan ranked first in their OWN team, not overall. as for junkyu, he ranked first in the remaining trainees and made the team. if this doesn’t make much sense, may i help edit and provide for information? Does anyone know what happend to the eliminated boys? Are they still YG trainees or did they have to leave? 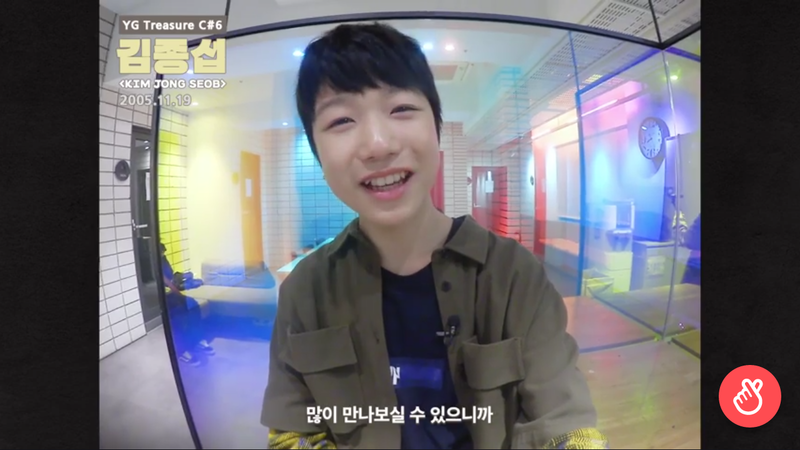 Isn’t Junghwan’s birthdate May 28, 2005? Correct me if I’m wrong, but that’s what it says in his introduction video. I understand that it says that, but then why does it say on his introduction video 2005.05.28? 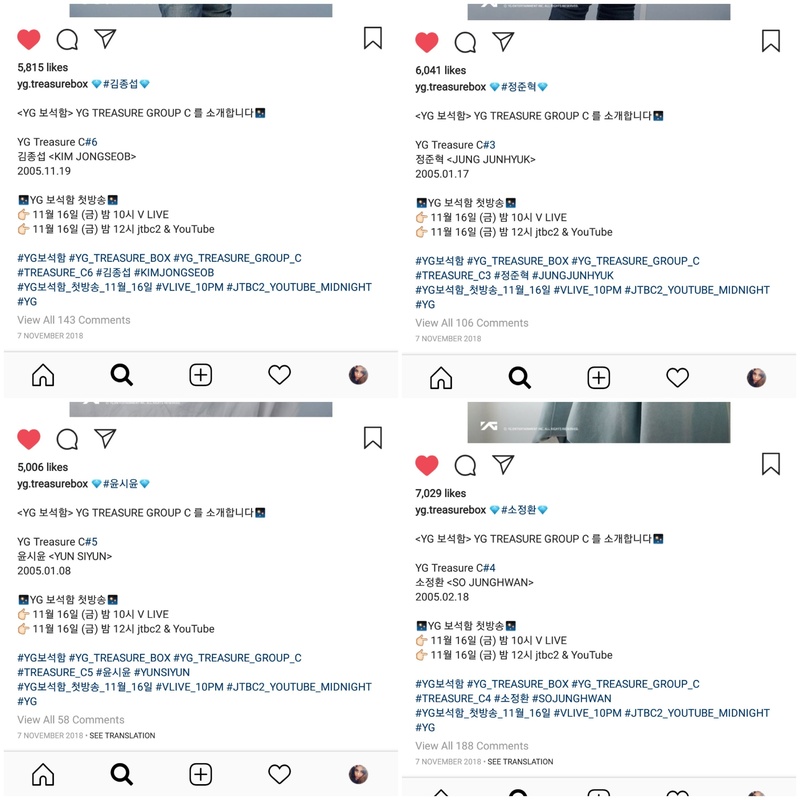 They’re still YG trainees, only Jyunhao had to leave if i’m right. YG asked what Jyunhao would do if he was eliminated and he said that he would audition again so that makes me think that he had to leave. Hyunsuk is the last member!!!! Unofficial fan names that are used: Jihoon’s fans are named crackers, Yedam’s fans are called Blackswans, Byounggon’s is Gonisaurs, Hyunsuk’s is hyunsuknators, Doyoung’s is Dobbys, and Junkyu is Kyuties. I like almost all of the debut group. YG should let Seunghun, Byounggon and Jihoon leave YG and they should take part in Produce X101 as that will be a permanent group. Yoonbin’s stage name is Ben, fyi. Yoonbin’s fans are named Binnies. 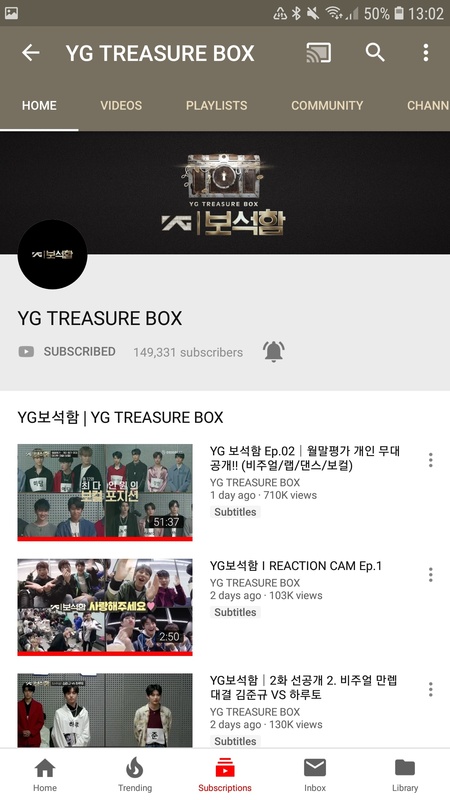 YG will debut two groups from the trainees listed above: Treasure and one to be announced soon. wait produce x101 is going to be a p e r m a n e n t group? can you remove eliminated from their names until the new team is revealed? Mashiho will be debuting in the second group too !! 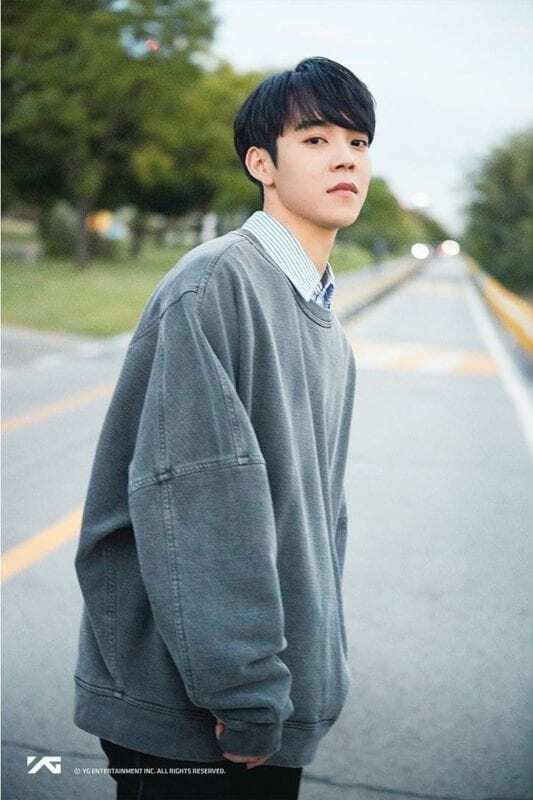 YG released that Doyoung will be the 3rd member in the second debut group!!! Omg, please update! 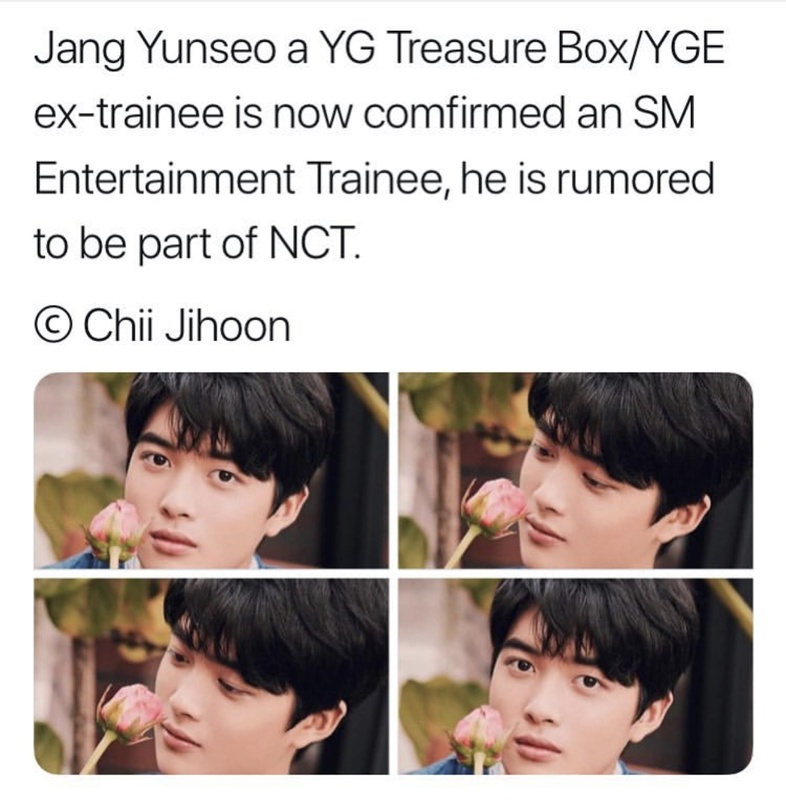 Doyoung has been announced to be debuting with Treasure’s twin group. 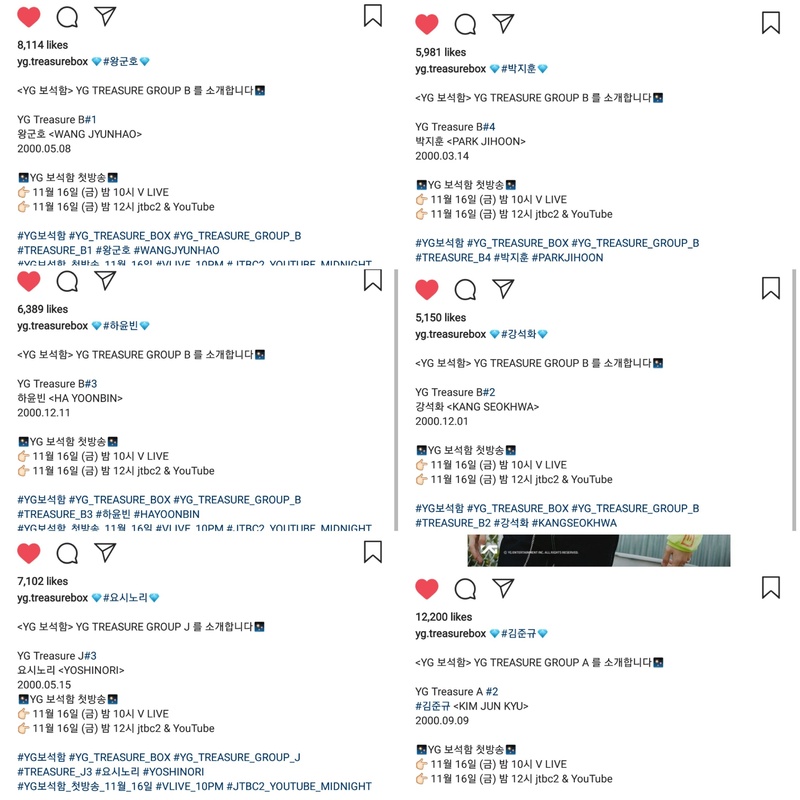 Please also update their instagram accounts. Omg, please update! 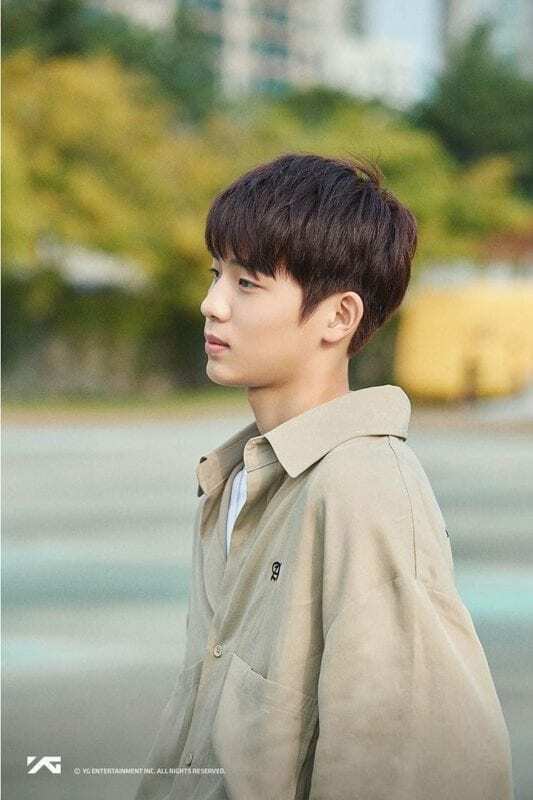 Doyoung has been announced to be debuting with Treasure’s twin group. 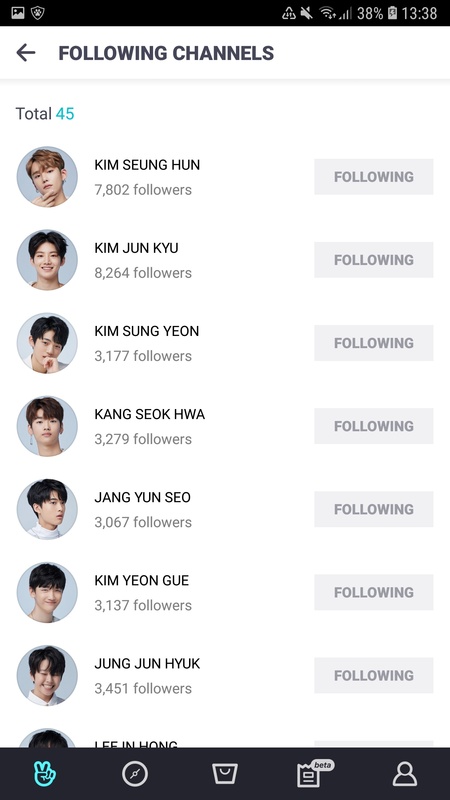 Please also update Yunseo’s, Seokhwa’s Dohwan’s and Sungyeon’s profile information with their instagram accounts. 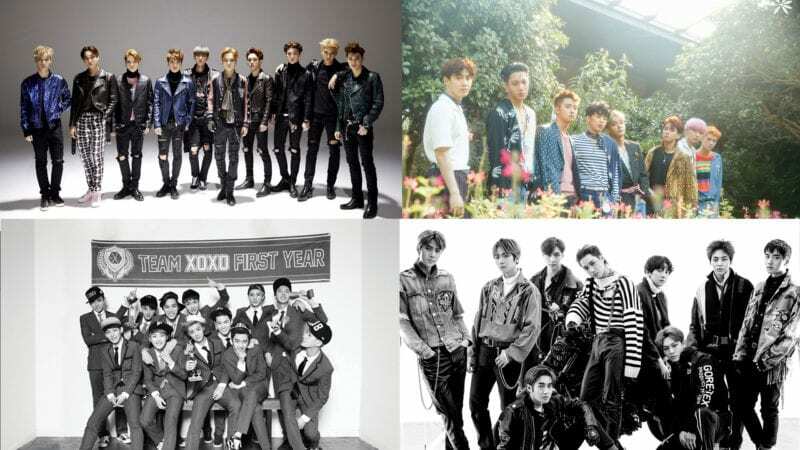 That would be such an interesting lineup, and thanks for including my son Jongseob on it, lol. If only YG could pull an NCT and just debut all the boys in different units every comeback. 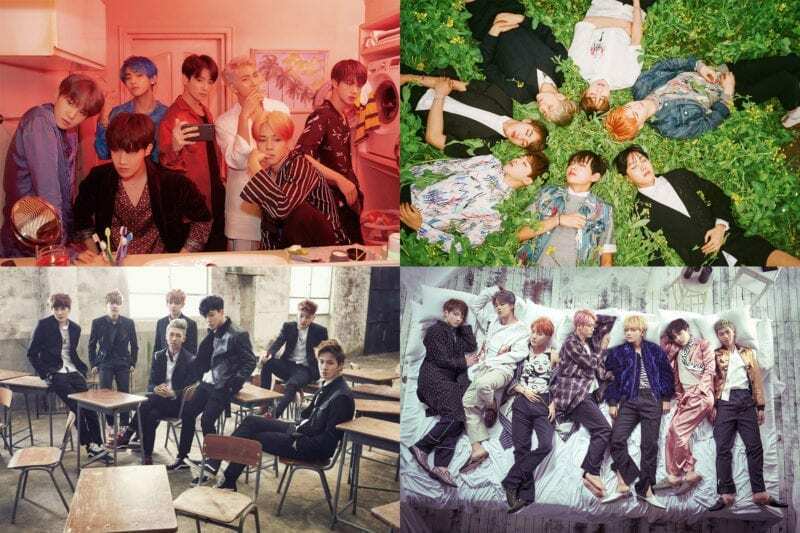 Imagine all the possible member combinations, the unlimited range of music genre they can pull off. Imagine the power. Sighs, how can YG be so dumb. Y O Jeongwoo and I were born the same day and same year, this is amazing! 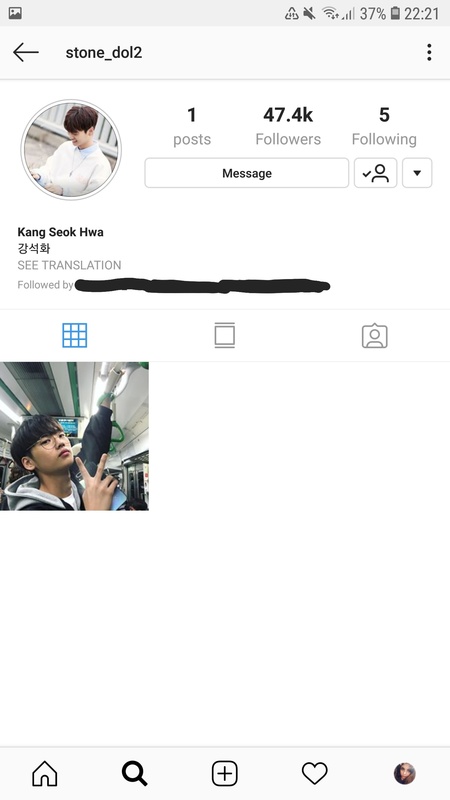 Seokhwa looks like leeknow… he also trained with skz before…. 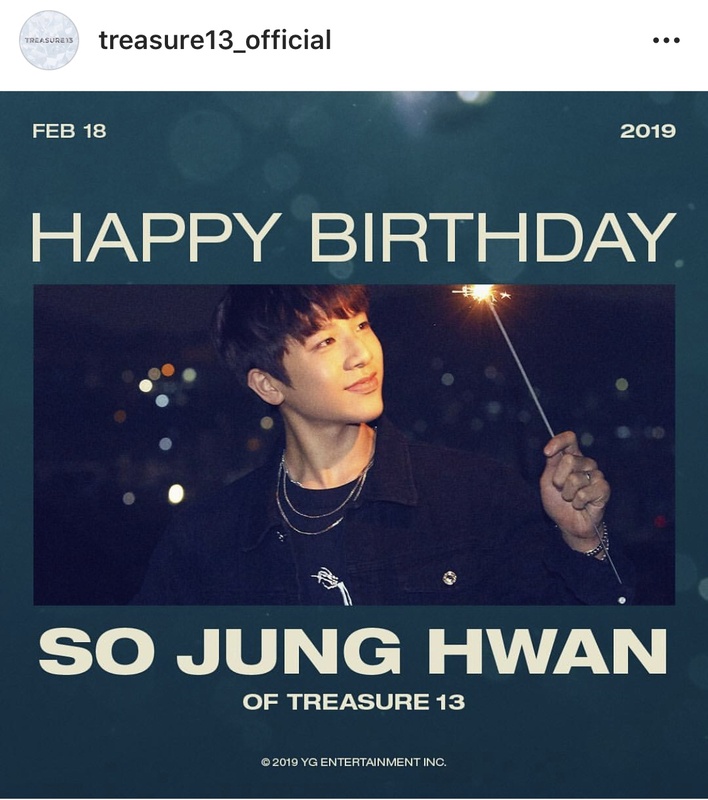 I thought junghwan’s birthday was Feb 18, 2005? 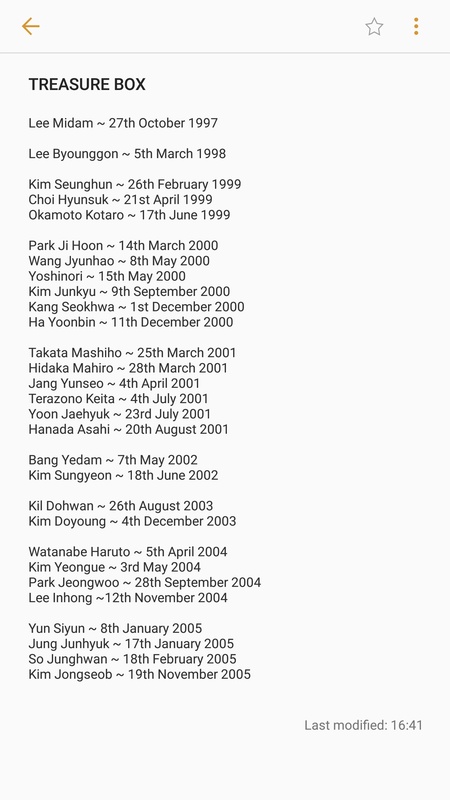 A k-fan posted that Yoshinori’s surname is Kanemoto. Op said she/he is friends with their family. Doyoung’s debut was announced a couple hours after his graduation. 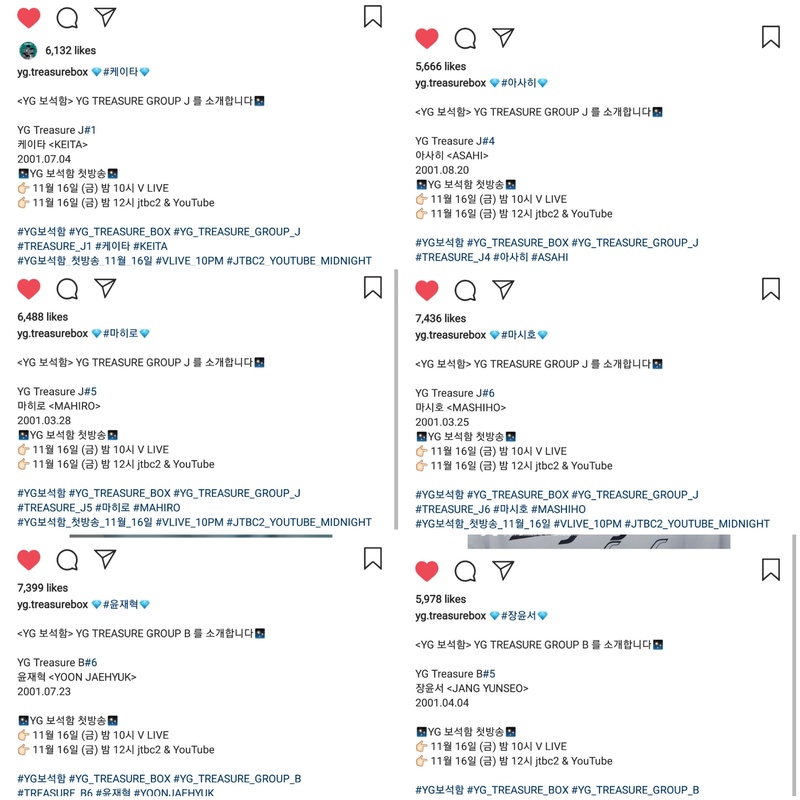 Yeah it is true YG was supposed to debut a 7 member group only which was “Treasure” while the 2nd group was unexpected but I think he was getting too much hate so he put both Treasure and “Magnum” together, they will be in two units like NCT, and will all debut together as one group but they will promote with two units. 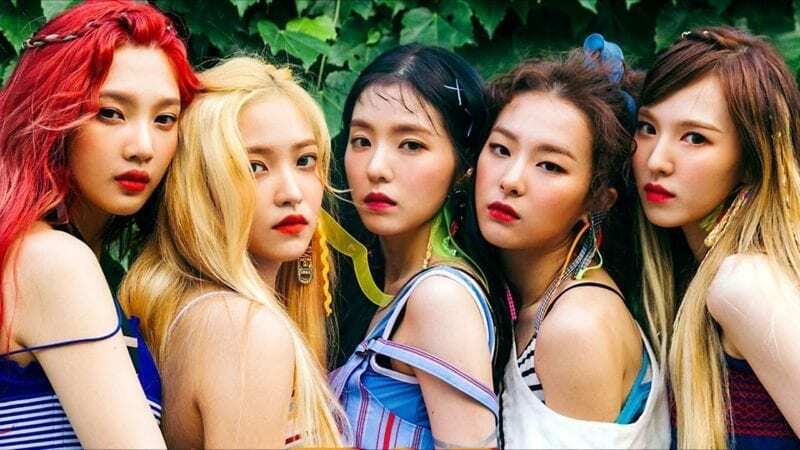 Their debut date is in between May and July so stay in tune! yeah i think it’s feb. 18? 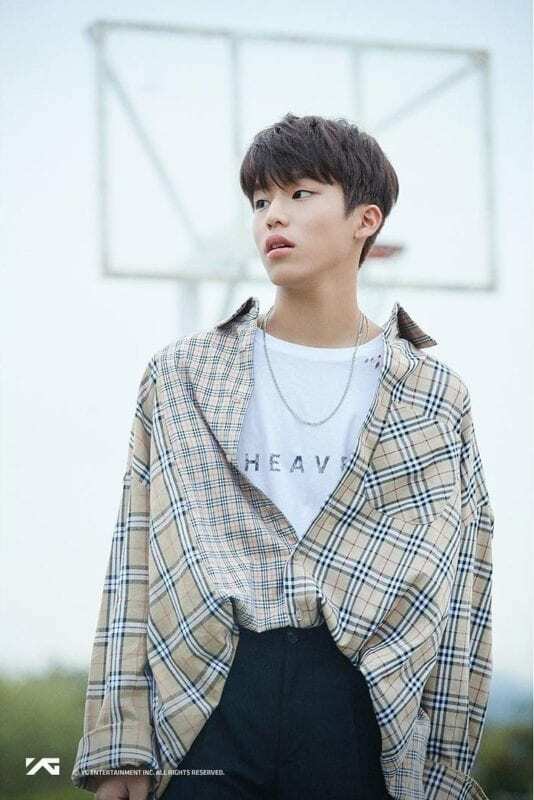 • Jeongwoo is 175cm and 63kg now. • He also has a habbit in which he likes to bite his nails. • His motto is to live without regrets. • Haruto is 178cm and 56kg now. • His nickname is naruto. • His habit is playing games. • His motto is to live as you see fit. 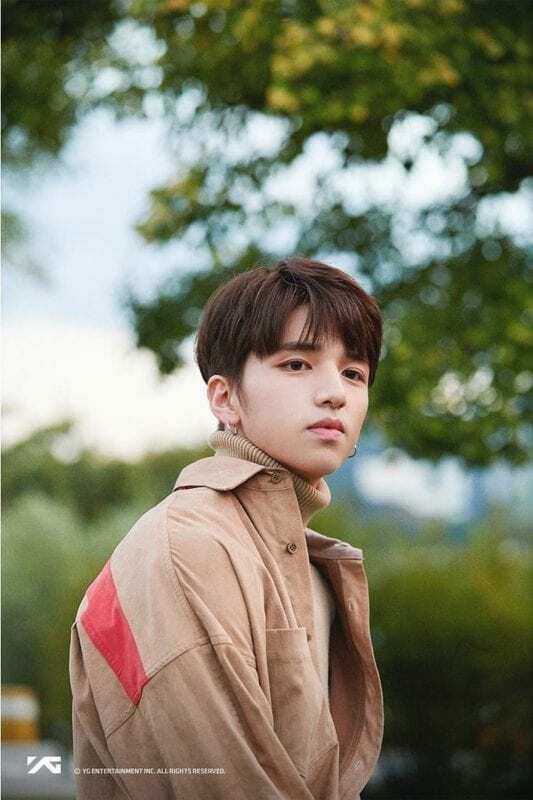 – Yoshinori’s last name is revealed to be Kanemoto. 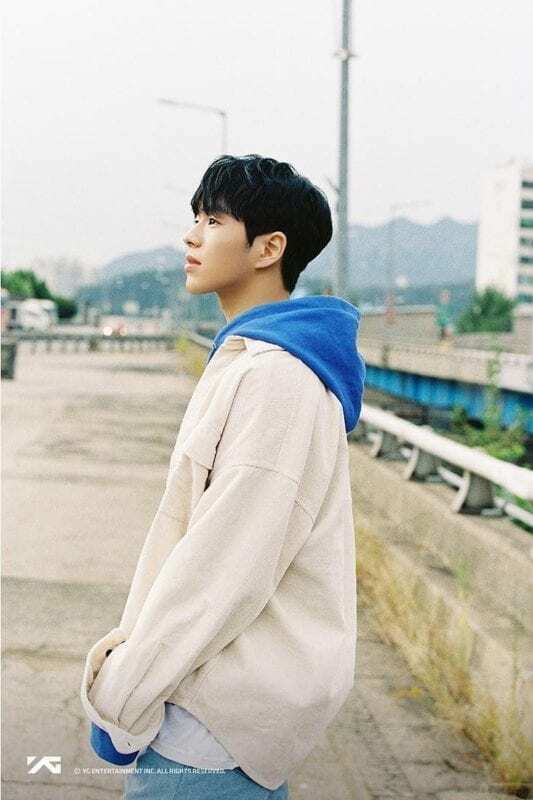 – Kil Dohwan has recently passed the first round of auditions for Bighit Entertainment. That’s what I thought too. So who is correct? I think he passed the first round auditions for BigHit, so maybe he’s just training there? omg, i cant believe haruto! at first when i read this page i read it as NARUTO, maybe its just me overdosing on anime pills. 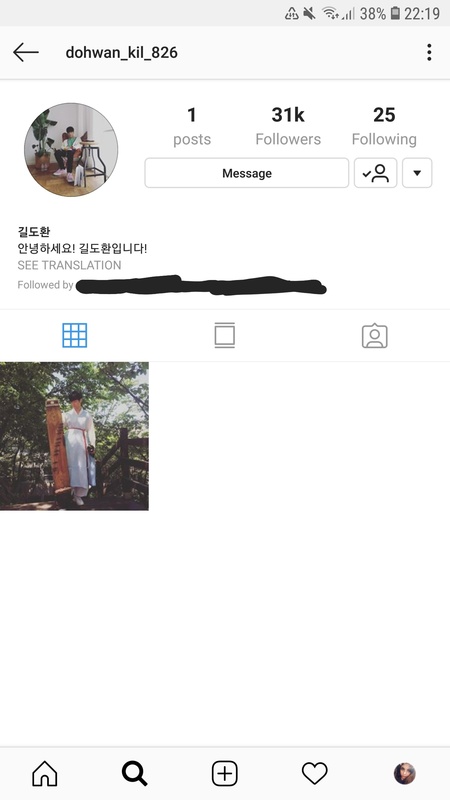 Yunseo deleted his instagram and is now an official SM trainee, and he is rumoured to be an NCT member soon. Mahiro will be participating on ProduceX101!! 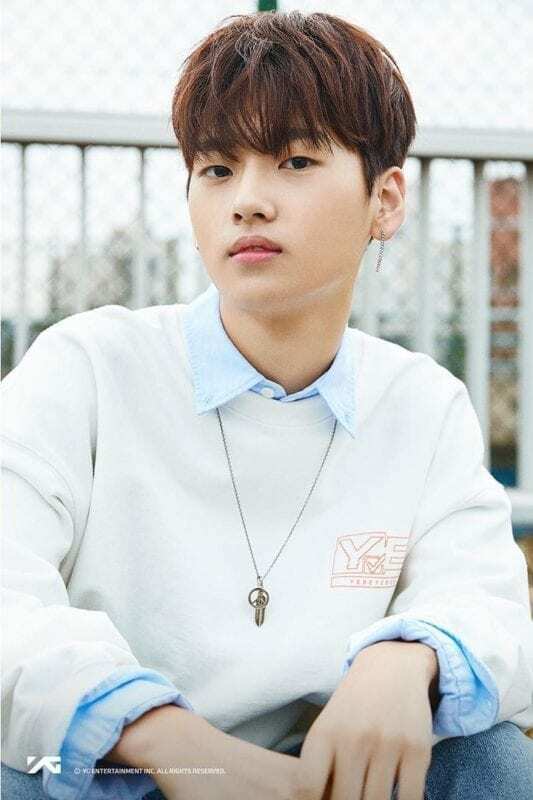 Jyunhao will be participating on Producex101! 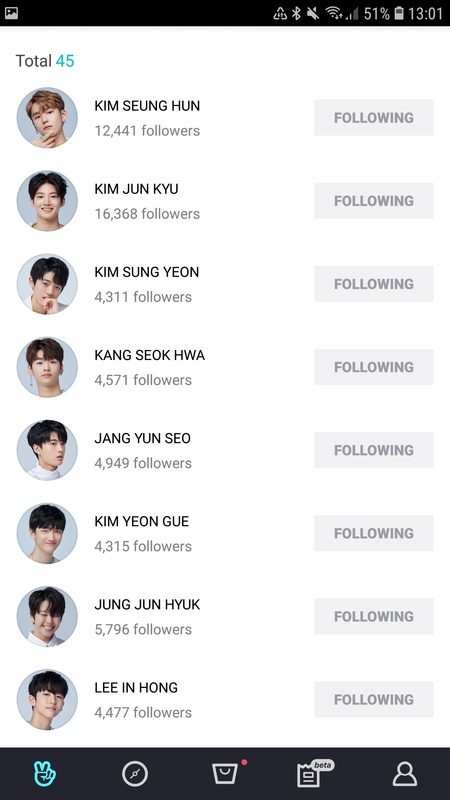 Mahiro and Jyunhao are still under YG while Seokhwa and Midam are not. It’s unsure about Sungyeon. 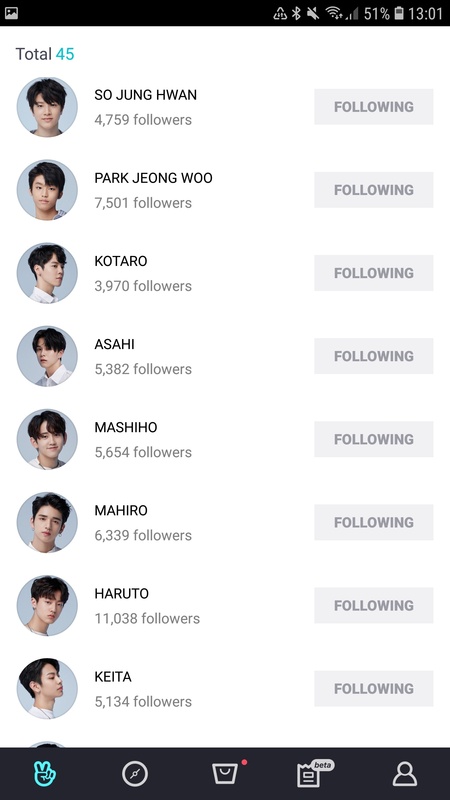 If it hasn’t already been said yet, Yoshinori’s full name last/first is Kanemoto Yoshinori! 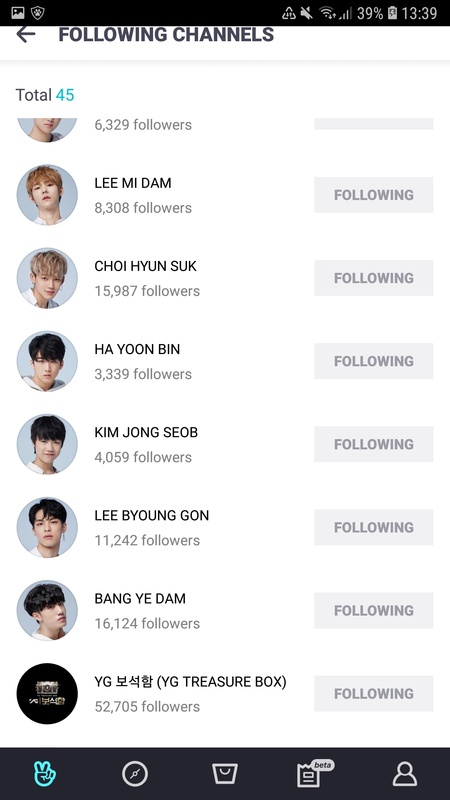 Byounggon, Seunghun, Midam, Hyunsuk, Jihoon, Junkyu, Yedam and Doyoung are a part of Silver Boys. I kinda see a mistake in the Romanization of Wang Jyun Hao.